The Missile Defense Agency (MDA) is announcing the award of an Indefinite Delivery-Indefinite Quantity (IDIQ) Cost-Plus Fixed-Fee contract to Johns Hopkins University/Applied Physics Laboratory, Laurel, Md., under contract HQ0147-12-D-0004. The total ceiling award value is $922,900,000. Under this follow-on IDIQ contract, the contractor will continue to provide the MDA essential engineering, research, and development capabilities for the Ballistic Missile Defense System. The work will be performed in Laurel, Md., and Huntsville, Ala. The ordering period is from July 15, 2012 through July 14, 2017. Fiscal 2012 research, development, test and evaluation funds will not expire at the end of the current fiscal year. This is not a foreign military sales acquisition. The MDA in Huntsville, Ala., is the contracting activity. JLG Industries, McConnellsburg, Pa., was awarded contract SPM8EC-12-D-0010. The award is a fixed price with economic price adjustment contract with a maximum $633,000,000 for the procurement of commercial type material handling equipment. Other locations of performance are Ohio, France and various places in Pennsylvania. Using services are Army, Navy, Air Force, Marine Corps and federal civilian agencies. Type of appropriation is fiscal 2012 through fiscal 2017 Defense Working Capital Funds. There were 26 proposals with 26 responses. The date of performance completion is June 12, 2017. The contracting activity is the Defense Logistics Agency Troop Support, Philadelphia, Pa.
TEAC Aerospace Technologies Inc., Brea, Calif., was awarded contract SPRPA1-12-C-X057. The award is a firm fixed price, sole source contract with a maximum $14,315,888 to provide support of the LECP F/A-18 and AV8B fleet retrofit. There are no other locations of performance. Using service is Navy. Type of appropriation is fiscal 2012 Navy Working Capital Funds. There was one proposal with one response. The date of performance completion is February 2014. The contracting activity is the Defense Logistics Agency Aviation, Philadelphia, Pa.
Sikorsky Aircraft Corporation, Stratford, Conn., was awarded contract SPRRA1-12-D-0106. The award is a firm fixed price contract with a maximum $8,918,679 for Dig Switching Group. There are no other locations of performance. Using service is Army. Type of appropriation is fiscal 2012 Army Working Capital Funds. There were two proposals with one response. The date of performance completion is June 30, 2017. The contracting activity is the Defense Logistics Agency Aviation, Redstone Arsenal, Ala.
John J. Kirlin L.L.C., Rockville, Md., (W912DY-12-D-0012); Global Engineering and Construction, Renton, Wash., (W912DY-12-D-0013); Innovative Technical Solutions Inc., Walnut Creek, Calif., (W912DY-12-D-0014); United Excel Corp., Shawnee Mission, Kan., (W912DY-12-D-0015); and URS Group Inc., Washington, D.C., (W912DY-12-D-0016); were awarded a $585,000,000 firm-fixed-price contract between five contractors. The award will provide for the design and construction services for the Medical Repair and Renewal Program. Work location will be determined with each task order, with an estimated completion date of July 10, 2017. The bid was solicited through the Internet, with 27 bids received. The U.S. Army Corps of Engineers, Huntsville, Ala., is the contracting activity. CMS TT JV, Bargersville, Ind., (W91248-12-D-0006); MA-CHIS KAWV IV L.L.C., Kinston, Ala., (W91248-12-D-0007); GCCS Inc., Louisville, Ky., (W91248-12-D-0008); Sabre Construction Co., L.L.C., Nashville, Tenn., (W91248-12-D-0009); and Double R Construction L.L.C., Kingston Springs, Tenn., (W91248-12-D-0010); were awarded a $249,000,000 firm-fixed-price multiple-award-task-order contract. The award will provide for construction services. Work location will be determined with each task order, with an estimated completion date of July 2, 2017. The bid was solicited through the Internet, with 35 bids received. The U.S. Army Contracting Command, Fort Campbell, Ky., is the contracting activity. Alutiiq Diversified Services L.L.C., Watertown, N.Y., (W911S2-12-D-8002); Di Iorio Construction Corp., Newton, N.J., (W911S2-12-D-8003); Odyssey International Inc., Lancaster, Penn., (W911S2-12-D-8004); Strock Enterprises Ltd., Cheektowaga, Ky., (W911S2-12-D-8005); and Kondra & Jaquin Enterprises Inc./SAI — Joint Venture, Syracuse, N.Y., (W911S2-12-D-8006); were awarded a $150,000,000 firm-fixed-price multiple-award-task-order contract. The award will provide for the minor construction services on Fort Drum, N.Y. Work location will be determined with each contract, with an estimated completion date of July 1, 2017. The bid was solicited through the Internet, with nine bids received. The U.S. Army Contracting Command, Fort Drum, N.Y., is the contracting activity. Military Personnel Services Co., Falls Church, Va., was awarded a $100,000,000 firm-fixed-price contract. The award will provide for the services in support of Deployment Cycle Support and Family Readiness for the National Guard. Work will be performed in Falls Church, with an estimated completion date of July 2, 2017. The bid was solicited through the Internet, with five bids received. The National Guard Bureau, Arlington, Va., is the contracting activity (W9133L-12-A-0011). The Boeing Co., Mesa, Ariz., was awarded an $84,585,270 firm-fixed-price contract. The award will provide for the production and support services for the procurement of Apache Block III aircraft. Work will be performed in Mesa, with an estimated completion date of Jan. 31, 2013. One bid was solicited, with one bid received. The U.S. Army Contracting Command, Redstone Arsenal, Ala., is the contracting activity (W58RGZ-12-C-0055). Lockheed Martin, Grand Prairie, Texas, was awarded a $68,999,656 cost-plus-incentive-fee contract. The award will provide for the services in support of the PATRIOT Advanced Capability-3 Missile Segment Enhancement Initial Production Facilities. Work will be performed in Grand Prairie; Camden, Ark. ; Lufkin, Texas; and Ocala, Fla.; with an estimated completion date of July 2, 2014. One bid was solicited, with one bid received. The U.S. Army Contracting Command, Redstone Arsenal, Ala., is the contracting activity (W31P4Q-12-C-0001). Cubic Applications Inc., San Diego, Calif., was awarded a $68,102,502 cost-plus-award-fee contract. The award will provide for the services in support of the Joint Readiness Training Center Operations Group training mission at Fort Polk, La. Work will be performed in Fort Polk, with an estimated completion date of June 30, 2013. Two bids were solicited, with two bids received. The U.S. Army Contracting Command, Fort Polk, La., is the contracting activity (W911S0-07-C-0007). Aliron International Inc., Bethesda, Calif., was awarded a $56,784,888 firm-fixed-price contract. The award will provide for the dental services for the Army in Germany, Belgium, Italy and Korea. Work will be performed in the aforementioned countries, with an estimated completion date of Sept. 30, 2017. The bid was solicited through the Internet, with 15 bids received. The U.S. Army Medical Command, Heidelberg, Germany, is the contracting activity (W9114F-12-D-0005). David Boland Inc., Titusville, Fla., was awarded a $54,772,000 firm-fixed-price contract. The award will provide for the construction services on Wheeler Army Airfield, Oahu, Hawaii. Work will be performed in Wheeler Army Airfield, with an estimated completion date of April 26, 2015. Six bids were solicited, with six bids received. The U.S. Army Corps of Engineers, Fort Shafter, Hawaii, is the contracting activity (W9128A-12-C-0009). American West Construction, Denver, Colo., (W9128F-12-D-0031); Arrowhead Contracting Inc., Lenexa, Kan., (W9128F-12-D-0032); Coastal Environmental Group Inc., Omaha, Neb., (W9128F-12-D-0033); McMillen L.L.C., Boise, Idaho, (W9128F-12-D-0034); and Morris Inc., Fort Pierre, S.D., (W9128F-12-D-0035); were awarded a $49,000,000 firm-fixed-price contract between five contractors. The award will provide for construction services. Work location will be determined with each task order, with an estimated completion date of June 28, 2017. The bid was solicited through the Internet, with 16 bids received. The U.S. Army Corps of Engineers, Omaha, Neb., is the contracting activity. Northrop Grumman Systems Corporation, Herndon, Va., was awarded a $45,047,223 time-and-materials contract. The award will provide for the services in support of the Army’s Planning, Programming, Budgeting and Business Operation System. Work will be performed in Washington, D.C., with an estimated completion date of July 28, 2015. The bid was solicited through the Internet, with two bids received. The U.S. Army Contracting Command, Washington, D.C., is the contracting activity (W91WAW-12-C-0047). BL Harbert International LLC, Birmingham, Ala., was awarded a $40,887,000 firm-fixed-price contract. The award will provide for the construction of an Engineer Battalion complex at Fort Knox, Ky. Work will be performed in Fort Knox, with an estimated completion date of April 1, 2014. The bid was solicited through the Internet, with 19 bids received. The U.S. Army Corps of Engineers, Louisville, Ky., is the contracting activity (W912QR-12-C-0040). MD Helicopter, Mesa, Ariz., was awarded a $40,674,920 firm-fixed-price contract. The award will provide for the procurement of MD 530F aircraft and related equipment in support of foreign military sales to Saudi Arabia. Work will be performed in Mesa, with an estimated completion date of July 30, 2013. One bid was solicited, with one bid received. The U.S. Army Contracting Command, Redstone Arsenal, Ala., is the contracting activity (W58RGZ-12-C-0105). Harper Construction Company Inc., San Diego, Calif., was awarded a $37,867,635 firm-fixed-price contract. The award will provide for the construction of a tactical equipment maintenance facility at Fort Sill, Okla. Work will be performed in Lawton, Okla., with an estimated completion date of June 29, 2014. The bid was solicited through the Internet, with 28 bids received. The U.S. Army Corps of Engineers, Tulsa, Okla., is the contracting activity (W912BV-12-C-0012). Harding Security Associates Inc., McLean, Va., was awarded a $35,835,244 firm-fixed-price contract. The award will provide for the services in support of the Counter Insurgency Targeting Program and related intelligence and operational support. Work will be performed in Charlottesville, Va., and Afghanistan, with an estimated completion date of Dec. 28, 2016. The bid was solicited through the Internet, with four bids received. The U.S. Army Contracting Command, Rock Island, Ill., is the contracting activity (W52P1J-12-D-0005). ACE Electronics Inc., Metuchen, N.J., was awarded a $30,519,332 firm-fixed-price contract. The award will provide for the production services in support of the digitization of the M119A2 Howitzer. Work will be performed in Metuchen, N.J. with an estimated completion date of June 29, 2017. The bid was solicited through the Internet, with seven bids received. The U.S. Army Contracting Command, Picatinny Arsenal, N.J., is the contracting activity (W15QKN-12-D-0084). Vortex Marine Construction Inc., Oakland, Calif., was awarded a $30,000,000 firm-fixed-price contract. The award will provide for the maintenance dredging services. Work will be performed in Sacramento and Stockton, Calif., with an estimated completion date of June 4, 2015. The bid was solicited through the Internet, with four bids received. The U.S. Army Corps of Engineers, Sacramento, Calif., is the contracting activity (W91238-12-D-0008). iAP World Services Inc., Cape Canaveral, Fla., was awarded a $24,966,439 firm-fixed-price contract. The award will provide for the services in support of the National Training Center, Fort Irwin, Calif. Work will be performed in Fort Irwin, with an estimated completion date of March 31, 2013. One bid was solicited, with one bid received. The U.S. Army Contracting Command, Fort Irwin, Calif., is the contracting activity (W9124B-12-C-0004). Precision 2000 L.L.C., Atlanta, Ga., was awarded a $24,000,000 firm-fixed-price contract. The award will provide for construction services. Work will be performed in Fort Gordon, Ga., with an estimated completion date of June 28, 2017. The bid was solicited through the Internet, with 16 bids received. The U.S. Army Corps of Engineers, Savannah, Ga., is the contracting activity (W912HN-12-D-0028). BAE Systems Land & Armaments L.P., Anniston, Ala., was awarded a $17,511,350 cost-plus-fixed-fee contract. The award will provide for the modification of an existing contract to reset up to 42 M88A2 HERCULES vehicles. Work will be performed in Anniston, Ala. and York, Penn., with an estimated completion date of June 30, 2013. One bid was solicited, with one bid received. The U.S. Army Contracting Command, Warren, Mich., is the contracting activity (W56HZV-10-G-0003). L-3 Communications Systems West, Salt Lake City, Utah, was awarded a $16,307,474 firm-fixed-price contract. The award will provide for the modification of an existing contract to procure the Dual Output Battery Eliminator. Work will be performed in Salt Lake City, with an estimated completion date of June 28, 2013. One bid was solicited, with one bid received. The U.S. Army Contracting Command, Redstone Arsenal, Ala., is the contracting activity (W58RGZ-07-C-0209). Information Systems Laboratories, San Diego, Calif., was awarded a $15,063,350 firm-fixed-price contract. The award will provide for the procurement of rapidly elevated aerostat platforms and associated spares. Work will be performed in San Diego, with an estimated completion date of March 11, 2013. One bid was solicited, with one bid received. The U.S. Army Contracting Command, Aberdeen Proving Ground, Md., is the contracting activity (W91CRB-12-C-0057). Science Applications International Corp., McLean, Va., was awarded a $14,338,925 cost-plus-fixed-fee contract. The award will provide for the airborne intelligence, surveillance and reconnaissance services. Work will be performed in Afghanistan, with an estimated completion date of Sept. 30, 2013. One bid was solicited, with one bid received. The U.S. Army Corps of Engineers, Vicksburg, Miss., is the contracting activity (W912HZ-12-C-0037). G2 Construction, Fairbanks, Alaska, was awarded a $12,209,852 firm-fixed-price contract. The award will provide for the replacement and construction of rail line at Eielson Air Force Base, Alaska. Work will be performed in Eielson Air Force Base, with an estimated completion date of Dec. 5, 2012. The bid was solicited through the Internet, with four bids received. The U.S. Army Corps of Engineers, Elmendorf Air Force Base, Alaska, is the contracting activity (W911KB-12-C-0015). Total Site Services L.L.C., Richland, Wash., was awarded an $11,724,000 firm-fixed-price contract. The award will provide for the construction of a Survival, Evasion, Resistance and Escape Force Support Facility located in Fairchild Air Force Base, Wash. Work will be performed in Fairchild Air Force Base, with an estimated completion date of Jan. 6, 2014. The bid was solicited through the Internet, with 11 bids received. The U.S. Army Corps of Engineers, Seattle, Wash., is the contracting activity (W912DW-12-C-0036). Logistics Services International, Jacksonville, Fla., was awarded an $11,602,225 firm-fixed-price contract. The award will provide for the modification of an existing contract to procure UH-60M Black Hawk Maintenance Trainers. Work will be performed in Pensacola, Fla., with an estimated completion date of June 28, 2017. Sixteen bids were solicited, with two bids received. The U.S. Army Contracting Command, Redstone Arsenal, Ala., is the contracting activity (W58RGZ-12-C-0109). Triumph Actuation Systems – Connecticut L.L.C., Bloomfield, Conn., was awarded a $10,985,766 firm-fixed-price contract. The award will provide for the engineering services in support of the Light Weight 155 Howitzer. Work will be performed in Bloomfield, with an estimated completion date of June 27, 2017. One bid was solicited, with one bid received. The U.S. Army Contracting Command, Picatinny Arsenal, N.J., is the contracting activity (W15QKN-11-C-0103). STG Inc., Reston, Va., was awarded a $10,850,829 firm-fixed-price level-of-effort contract. The award will provide for the information technology services in support of the Army Research Laboratory. Work will be performed in Adelphi and Aberdeen Proving Ground, Md., and Research Triangle Park, N.C., with an estimated completion date of Feb. 28, 2013. One bid was solicited, with one received. The U.S. Army Contracting Command, Adelphi, Md., is the contracting activity (W911QX-12-F-0045). Weeks Marine Inc., Covington, La., was awarded a $10,750,000 firm-fixed-price contract. The award will provide for the maintenance and dredging services. Work will be performed in Vidalia, La., with an estimated completion dates of Nov. 28, 2012. The bid was solicited through the Internet, with four bids received. The U.S. Army Corps of Engineers, New Orleans, La., is the contracting activity (W912P8-12-C-0039). Black & Veatch Special Projects Corp., Overland Park, Kan., was awarded a $9,500,000 firm-fixed-price contract. The award will provide for the engineering services in support of security engineering, design and blast analysis. Work will be performed in Omaha, Neb., with an estimated completion date of June 27, 2017. The bid was solicited through the Internet, with 12 bids received. The U.S. Army Corps of Engineers, Omaha, Neb., is the contracting activity (W9128F-12-D-0011). Manufacturing Support Industries, Hebron, Md., was awarded a $9,353,267 firm-fixed-price contract. The award will provide for the procurement of M249 Blank Firing Attachment and Replacement Stems to be used in training exercises. Work will be performed in Hebron, with an estimated completion date of June 28, 2017. The bid was solicited through the Internet, with two bids received. The U.S. Army Contracting Command, Picatinny Arsenal, N.J., is the contracting activity (W15QKN-12-D-0078). AAI Corp., Hunt Valley, Md., was awarded a $9,136,680 firm-fixed-price contract. The award will provide for the modification of an existing contract to procure Mobile Directional Antenna Systems. Work will be performed in Hunt Valley, with an estimated completion date of April 30, 2013. The bid was solicited through the Internet, with one bid received. The U.S. Army Contracting Command, Redstone Arsenal, Ala., is the contracting activity (W58RGZ-06-C-0190). Delta Scientific Corp., Palmdale, Calif., was awarded an $8,800,000 firm-fixed-price contract. The award will provide for the procurement of MP5000 pop-up barriers, DSC7000 drop-arm barriers and associated spares part kits. Work will be performed in Palmdale, with an estimated completion date of June 27, 2015. The bid was solicited through the Internet, with one bid received. The U.S. Army Contracting Command, Picatinny Arsenal, N.J., is the contracting activity (W15QKN-12-D-0069). CDW Government L.L.C., Vernon Hills, Ill., was awarded an $8,293,531 firm-fixed-price contract. The award will provide for the procurement of 875 Miltope ruggedized laptops and 100 Miltope hard drives. Work will be performed in Redstone Arsenal, Ala., with an estimated completion date of July 1, 2013. The bid was solicited through the Internet, with three bids received. The U.S. Army Contracting Command, Redstone Arsenal, Ala., is the contracting activity (W91QUZ-07-D-0009). KEAR Civil Corporation, Phoenix, Ariz., was awarded a $7,787,000 firm-fixed-price contract. The award will provide for the construction services in support of a wastewater treatment plant at Cannon Air Force Base, N.M. Work will be performed in Clovis, N.M., with an estimated completion date of Sept. 26, 2013. The bid was solicited through the Internet, with three bids received. The U.S. Army Corps of Engineers, Albuquerque, N.M., is the contracting activity (W912PP-12-C-0019). General Atomics Aeronautical Systems (GA-ASI) of San Diego, Calif. (FA8620-10-G-3038 001) is being awarded a $120,551,310 firm fixed price contract to provide MQ-9 Reaper spares and ground support equipment. The location of the performance is GA-ASI, San Diego, Calif. Work is to be completed by March 13, 2015. The contracting activity is ASC/WIIK, Medium Altitude Unmanned Aircraft Systems, Wright-Patterson Air Force Base, Ohio. Goodrich Surveillance and Reconnaissance Systems, Westford, Mass., is being awarded a $71,450,000 firm fixed price, time and materials, and cost reimbursable, undefinitized contract action/letter contract for the procurement and deployment of four DB-110 reconnaissance pod systems for use on the F-16 C/D Block 50/52 being purchased by the government of Iraq. The location of the performance is Goodrich Surveillance and Reconnaissance Systems of Westford, Mass. Work is to be completed by Sept. 30, 2018. The contracting activity is ASC/WINK, Wright-Patterson Air Force Base, Ohio. This contract supports foreign military sales to Iraq. (100 percent). Elk River Public Utility District, Tullahoma, Tenn., (FA9101-12-C-0005) is being awarded a $35,000,000 firm fixed price contract to provide natural gas supply and services to Arnold Air Force Base, Tenn. The location of the performance is Arnold Air Force Base, Tenn. Work is to be completed July 13, 2022. The contracting activity is AEDC PKE, Arnold Air Force Base, Tenn.
Goodrich Surveillance and Reconnaissance Systems, Westford, Mass., is being awarded a $34,300,000 firm fixed price and cost reimbursable contract for the procurement and deployment of four DB110 reconnaissance pod systems for use on the F-16 C/D Block 50/52 being purchased by the Royal Air Force of Oman. The location of the performance is Goodrich Surveillance and Reconnaissance Systems of Westford, Mass. Work is to be completed by December 2016. The contracting activity is ASC/WINK, Wright-Patterson Air Force Base, Ohio. This contract supports foreign military sales to Oman (100 percent). Sensing Strategies Inc., Pennington, N.J., (FA8650-12-D-1380) is being awarded a $24,000,000 basic indefinite delivery/indefinite quantity contract ceiling contract to advance sensor component technology in the space environment. The location of the performance is Sensing Strategies Inc. Pennington, N.J. Work is to be completed by April 19, 2020. The contracting activity is AFRL/RQKSE, Wright-Patterson Air Force Base, Ohio. U.S. Transportation Command is modifying a contract with Maersk Line Ltd., Norfolk, Va., with a value up to $37,000,000, 17-day extension to an existing Indefinite Delivery/Indefinite Quantity Fixed-Price contract for international ocean and intermodal, time definite, port-to-port and door-to-door transportation service using ocean common or contract carriers offering regularly scheduled commercial service. Service includes shipment of both containerized and breakbulk cargo. Work will be performed worldwide as specified on each individual order, and is expected to be completed Aug. 31, 2012. Twenty proposals were received at the time of initial award. U.S. Transportation Command, Directorate of Acquisition, Scott Air Force Base, Ill., is the contracting activity (HTC711-09-D-0040). 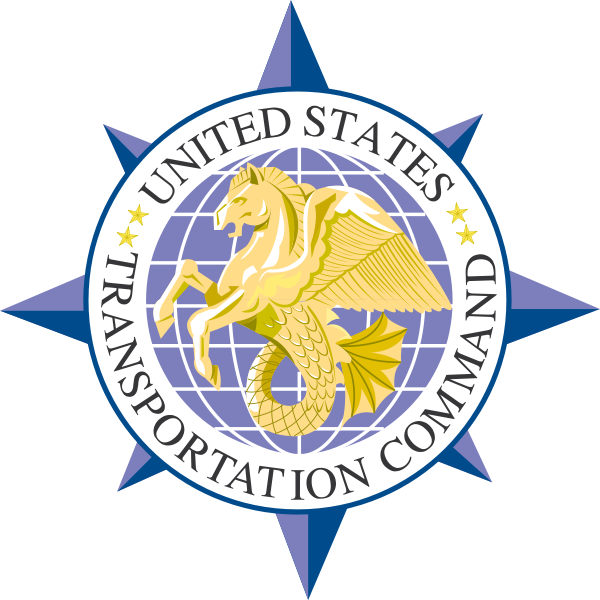 U.S. Transportation Command is modifying a contract with American President Lines Ltd., Inc., Washington, D.C., with a value up to $28,000,000, 17-day extension to an existing Indefinite Delivery/Indefinite Quantity Fixed-Price contract for international ocean and intermodal, time definite, port-to-port and door-to-door transportation service using ocean common or contract carriers offering regularly scheduled commercial service. Service includes shipment of both containerized and breakbulk cargo. Work will be performed worldwide as specified on each individual order, and is expected to be completed Aug. 31, 2012. Twenty proposals were received at the time of initial award. U.S. Transportation Command, Directorate of Acquisition, Scott Air Force Base, Ill., is the contracting activity (HTC711-09-D-0028). U.S. Transportation Command is modifying a contract with Farrell Lines Inc., Norfolk, Va., with a value up to $8,300,000, 17-day extension to an existing Indefinite Delivery/Indefinite Quantity Fixed-Price contract for international ocean and intermodal, time definite, port-to-port and door-to-door transportation service using ocean common or contract carriers offering regularly scheduled commercial service. Service includes shipment of both containerized and breakbulk cargo. Work will be performed worldwide as specified on each individual order, and is expected to be completed Aug. 31, 2012. Twenty proposals were received at the time of initial award. U.S. Transportation Command, Directorate of Acquisition, Scott Air Force Base, Ill., is the contracting activity (HTC711-09-D-0034). U.S. Transportation Command is modifying a contract with American Roll-On Roll-Off Carrier L.L.C., Park Ridge, N.J., with a value up to $7,500,000, 17-day extension to an existing Indefinite Delivery/Indefinite Quantity Fixed-Price contract for international ocean and intermodal, time definite, port-to-port and door-to-door transportation service using ocean common or contract carriers offering regularly scheduled commercial service. Service includes shipment of both containerized and breakbulk cargo. Work will be performed worldwide as specified on each individual order, and is expected to be completed Aug. 31, 2012. Twenty proposals were received at the time of initial award. U.S. Transportation Command, Directorate of Acquisition, Scott Air Force Base, Ill., is the contracting activity (HTC711-09-D-0029). Ikhana, LLC* North Charleston, S.C., is being awarded a $8,149,000 firm-fixed-price contract for construction of the Red Horse Readiness and Training Facility at Joint Base Charleston, S.C. The work to be performed provides for the construction of a new readiness and training facility for the Air Force Reserve Command Red Horse Squadron. The operations and training facility will include classrooms, administrative space, mobility equipment storage, and a vehicle maintenance shop. Work will be performed in Charleston, S.C., and is expected to be completed by October 2013. Contract funds will not expire at the end of the current fiscal year. This contract was competitively procured via the Navy Electronic Commerce Online website, with 16 proposals received. The Naval Facilities Engineering Command, Southeast, Jacksonville, Fla., is the contracting activity (N69450-12-C-1760). Detyens Shipyard Inc., North Charleston, S.C., is being awarded an $8,000,701 firm-fixed-price contract for a 55-calendar day regular overhaul and dry-docking of Military Sealift Command fleet replenishment oiler USNS Guadalupe (T-AO 200). This shipyard availability is primarily for ship maintenance and overhaul. Some of the major work items include the blasting and painting of the port and starboard cargo tanks; freeboard preservation; condensate collection tank renewal; firefighting annual inspection; underwater hull preservation; tail shaft removal; and the overhaul of the main engine clutch coupling and controllable pitch propeller system. The contract includes options, which, if exercised, would bring the cumulative value of this contract to $8,972,891. Work will be performed in North Charleston, S.C., and is expected to be completed by October 2012. Contract funds will not expire at the end of the fiscal year. This contract was competitively procured using a 100 percent small business set-a-side with two offers received. The U.S. Navy’s Military Sealift Command is the contracting authority (N40442-12-C-1015). NAVMAR Applied Sciences Corp.*, Warminster, Pa., is being awarded a $7,754,429 modification to a previously awarded cost-plus-fixed-fee contract (N68335-11-C-0214) for continued support of Persistent Ground Surveillance System personnel at Forward Operating Bases throughout Afghanistan. Work will be performed in Afghanistan and is expected to be completed in August 2012. Contract funds in the amount of $7,754,429 will expire at the end of the current fiscal year. The Naval Air Warfare Center Aircraft Division, Lakehurst, N.J. is the contracting activity. The Navy is awarding indefinite-delivery/indefinite-quantity multiple award contracts to 385 contractors that will provide for their competition for service requirements solicited by Naval Sea Systems Command, Naval Air Systems Command, Space and Naval Warfare Systems Command, Naval Supply Systems Command, Military Sealift Command, Naval Facilities Command, Strategic Systems Programs, Office of Naval Research, and the U.S. Marine Corps. The 22 functional service areas within the scope of the contracts include: research and development support; engineering system engineering and process engineering support; modeling, simulation, stimulation, and analysis support; prototyping, pre-production, model-making, and fabric support; system design documentation, and technical data support; software engineering, development, programming, and network support; reliability, maintainability, and availability support; human factors, performance, and usability engineering support; system safety engineering support; configuration management support; quality assurance support; information system development, information assurance, and information technology support; ship inactivation and disposal support; interoperability, test and evaluation, trials support; measurement facilities, range, and instrumentation support; acquisition logistics support; supply and provisioning support; training support; in-service engineering, fleet introduction, installation and checkout support; program support; functional and administrative support, and public affairs and multimedia support. These contracts are in addition to the existing 2,501 contracts previously awarded under the SeaPort Enhanced (SeaPort-e) acquisition program for services procurements. The government estimates a maximum of $5,300,000,000 of services will be procured per year via orders issued under the SeaPort-e multiple award contracts. The award of these contracts is a result of the SeaPort-e Rolling Admissions solicitation. The SeaPort-e acquisition is comprised of seven regional zones in which task orders will be competed based upon the principal place of performance. These awards contain provisions to set aside requirements for small businesses, service disabled veteran owned small businesses, 8a business development program and historically under-utilized business zone small businesses. Under these multiple award contracts, each contractor will be provided a fair opportunity to compete for individual task orders solicited within their zone or zones of performance. The awards have a two-year base period with one five-year award term. These contracts were competitively procured via the Navy Electronic Commerce Online website, with 415 offers received and 385 contracts awarded. Contract funds will be obligated at the time of task order award and as such, multiple funding types (with varying expiration dates) may be used, consistent with the purpose for which the funds were appropriated. 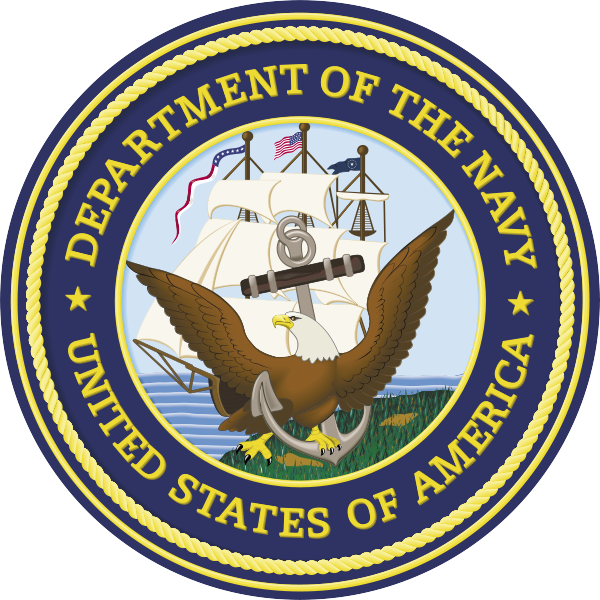 The Naval Sea Systems Command, Naval Surface Warfare Center, Dahlgren Division, Dahlgren, Va., is the contracting activity (N00178-12-D-6741 through N00178-12-D-7127). The list of contractors involved are: 5-D Systems, Inc.*, Round Rock, Texas; 6e Technologies*, Lafayette, Colo.; A&T Marketing, Inc. dba AT Networks*, Columbia, Md. ; Aboutscan, Inc.*, San Ramon, Calif.; Accutype Services, Inc.*, Charlottesville, Va.; ACR Technical Services Inc.*, Newport News, Va.; Act Too Consulting, Inc.*, Ridgecrest, Calif.; ADNET Systems, Inc., Rockville, Md. ; Advanced Concepts and Technology International, L.L.C. dba ACT-I*, Waco, Texas; Advanced Concepts Enterprises, Inc., dba ACES*, Shalimar, Fla.; Advanced Fusion Technologies, L.L.C. *, Lihue, Hawaii; AE Strategies, L.L.C. *, McLean, Va.; AERMOR L.L.C. *, Canton, N.C.; AES Technology, L.L.C. *, San Marcos, Texas; Aethercomm, Inc., Carlsbad, Calif.; AFG Group Inc., dba AFG Construction Management*, Herndon, Va.; AIS Engineering Inc.*, Silver Spring, Md. ; Alakai Consulting & Engineering, Inc.*, Mililani, Hawaii; Alico Systems Inc.*, Torrance, Calif.; Allagash Group L.L.C. *, Columbia, Md. ; Alliant Technologies L.L.C. *, Louisville, Ky.; Alpha Omega Group*, Rancho Palos Verdes, Calif.; Alutiiq Pacific, L.L.C. *, Anchorage, Alaska; Alytic, Inc.*, Sterling, Va.; Anchor Point Technology Resources, Inc.*, Indianapolis, Ind. ; APPEREON Business Solutions Inc., dba ABSI*, Baltimore, Md. ; Appledore Marine Engineering, Inc.*, Portsmouth, N.H.; Applied Energetics, Inc.*, Tucson, Ariz.; Applied Minds L.L.C. *, Glendale, Calif.; Applied Radar, Inc.*, North Kingstown, R.I.; Ares Corp., dba Ares Government Services, Burlingame, Calif.; ArgenTech Solutions Inc.*, Durham, N.H.; Assevero Security Consulting, L.L.C. *, Annapolis, Md. ; Assisted Management Solutions, Inc., dba AMS*, Leonardtown, Md. ; Assura, Inc.*, Henrico, Va.; ASTRO Systems, Inc.*, Bethesda, Md. ; Athena Technology Group, Inc.*, Falls Church, Va.; Atlantic Diving Supply Inc., dba ADS, Virginia Beach, Va.; AttivaSoft, L.L.C. *, Columbia, Md. ; Auxiliary Systems, Inc.*, Norfolk, Va.; Avansis, Inc.*, Alpharetta, Ga.; Avatar Technologies, Inc.*, Melbourne, Fla.; AVID L.L.C. *, Yorktown, Va.; Avionics Test and Analysis Corp., dba ATAC*, Niceville, Fla.; AXIS Management Group, L.L.C. *, McLean, Va.; BAER Consulting Firm L.L.C., dba BMK Consultants*, St Paul, Minn.; Banyan Technology Solutions, Inc.*, Rockville, Md. ; Bay West, Inc.*, St. Paul, Minn.; Beacon Interactive Systems*, Cambridge, Mass. ; Bentler Enterprises Inc.*, Lanham, Md. ; Berhanu, Eskinder dba EBA*, San Diego, Calif.; Bering Straits Aerospace Services L.L.C. *, Anchorage, Alaska; Bevilacqua Research Corp.*, Huntsville, Ala.; BinTech, Inc.*, Vienna, Va.; Birdi and Associates, Inc.*, Pasadena, Calif.; Blue Glacier Management Group Inc.*, Fairfax, Va.; Blue River Information Technology, L.L.C., dba Blue River IT*, Arlington, Va.; Blue Water Media L.L.C. *, Greenbelt, Md. ; BNL Inc.*, Lovettsville, Va.; Boecore*, Colorado Springs, Colo.; Book Zurman, Inc.*, Largo, Fla.; Bowen Consulting Group, Inc., dba Bowen Group,*, Stafford, Va.; BPX Technologies, Inc.*, Rockville, Md. ; Braxton-Grant Technologies, Inc.*, Woodstock, Md. ; Buffalo Group L.L.C.,*, Reston, Va.; Business Information Technology Solutions Inc., dba BITS*, Alexandria, Va.; Caduceus HealthCare Inc.*, Atlanta, Ga.; Calhoun International, L.L.C. *, Tampa, Fla.; Calloway and Associates, Inc.*, Raleigh, N.C.; Carolinas IT dba Sytec Business Solutions*, Raleigh, N.C.; Carrington Services Group, L.L.C. *, Owings Mills, Md. ; CBX Technologies, Inc.*, Oakland, Calif.; Center for Strategic & International Studies dba CSIS*, Washington, D.C.; Centris Consulting, Inc.*, Scranton, Pa.; Change Stride L.L.C. *, Sterling Heights, Mich.; CKA, L.L.C. *, Reston, Va.; Cloudburst Security L.L.C. *, Alexandria, Va.; CNF Technologies Corp., dba Cyber Net Force*, San Antonio, Texas; Code Plus, Inc.*, Fairfax, Va.; Colossal Contracting L.L.C. *, Alexandria, Va.; COMINT Systems Corp.*, Springfield, Va.; Command Languages Inc., dba CLI Solutions*, Tampa, Fla.; Conley & Associates Inc.*, Grover, Mo. ; Continental Tide Defense Systems Inc.*, Hazleton, Pa.; Contracting Resources Group, Inc., dba CRG*, Baltimore, Md. ; Cornerstone Technology Services, L.L.C. *, Mount Jackson, Va.; CornerTurn, L.L.C. *, Corona, Calif.; Corps Solutions, L.L.C. *, Stafford, Va.; Crawford Consulting Services Inc.*, East Pittsburgh, Pa.; Crescent Resources, L.L.C. *, New Orleans, La. ; Crowley Technical Services, L.L.C. *, Jacksonville, Fla.; CSIC Corp.*, San Diego, Calif.; CSMI L.L.C., dba CSMI*, Lawrence, Mass. ; Cyber Squared Inc.*, Arlington, Va.; Cybrix Group Inc.*, Tampa, Fla.; Data Center Enhancements Inc.*, Saint Charles, Ill.; Data Networks Inc., dba Data Networks Corp.*, Reston, Va.; DAVetTechs L.L.C., dba Disabled American Veteran Technologies*, Honolulu, Hawaii; Definitive Logic Corp.*, Arlington, Va.; Delta Epsilon Technologies, L.L.C. *, McLean, Va.; Delta Solutions & Strategies, L.L.C. *, Colorado Springs, Colo.; Design West Technologies Inc., dba Design West Aratech*, Tustin, Calif.; Dev Sion Corp.*, Cary, N.C.; DfR Solutions, L.L.C. *, College Park, Md. ; DHA Group Inc., dba DHA*, Washington, D.C.; DHPC Technologies, Inc.*, Woodbridge, N.J.; Digital Outfit*, San Diego, Calif.; Digitized Schematic Solutions L.L.C. *, Westlake Village, Calif.; Dimension Consulting Inc.*, Ashburn, Va.; DoVeDa Enterprises Inc.*, Mountain View, Calif.; Dragoon Technologies Inc.*, Sterling, Va.; DSFederal Inc.*, Gaithersburg, Md. ; Dynamic Network Enterprises, Inc.*, Stafford, Va.; Eclipse Group Inc.*, Annapolis, Md. ; ECSI International Inc., dba ECSI*, Clifton, N.J.; Edaptive Systems L.L.C. *, Owings Mills, Md. ; Egressone Corp., dba Egressone Technology Group*, Irving, Texas; ELAN Technical and Administrative Services L.L.C. *, San Diego, Calif.; Ellis & Ellis Associates, E2, Inc.*, Saint Petersburg, Fla.; E-merging Technologies Group Inc.*, Cleveland, Ohio; Engineered Testing Systems L.L.C. *, Indianapolis, Ind. ; Enterprise Technology Services L.L.C., dba ETS*, Herndon, Va.; eScribeSolutions Inc.*, Virginia Beach, Va.; Espey Mfg & Electronics Corp.*, Saratoga Springs, N.Y.; EXCEL Staffing Services dba EXCEL Management Services Inc.*, Richmond, Va.; Exceptional Employees for Exceptional Results Inc., dba E3R Inc., Trade Style*, El Cajon, Calif.; Executech Strategic Consulting L.L.C. *, Woodbridge, Va.; Eyak Technology L.L.C. dba Eyak Tek, Sterling, Va.; Fairwater Associates L.L.C. *, Norfolk, Va.; Federal Acquisition Strategies L.L.C. *, Fredericksburg, Va.; Fidelity Technologies Corp., Reading, Pa.; FM Talent Source L.L.C. *, Silver Spring, Md. ; FnnTEK Inc.*, McDonough, Ga.; FPS Communications L.L.C. *, Dumfries, Va.; Frankie Friend & Associates Inc.*, Centennial, Colo.; G4I Staffing Support*, Vienna, Va.; GaN Corp.*, Huntsville, Ala.; GB-SYS, Inc., dba Genesis Business Systems*, San Antonio, Texas; Gemini 3 Group Inc.*, Stafford, Va.; Genova Technologies*, Cedar Rapids, Iowa; Geospatial Consulting Group International, L.L.C., dba GEOCGI*, Alexandria, Va.; Get It Done (GID) Solutions L.L.C., dba GID Solutions L.L.C. *, Fredericksburg, Va.; Govsolutions Inc.*, Virginia Beach, Va.; Graham Staffing Services Inc., dba Graham Staffing*, Rockville, Md. ; Grant Thornton L.L.P., Alexandria, Va.; Green Mountain Communications Inc.*, Pembroke, N.H.; GreenLine Systems Inc.*, Arlington, Va.; Gupton and Associates Inc.*, Alexandria, Va.; Heartwood Studios Inc.*, San Mateo, Calif.; Heron Associates Inc.*, Vienna, Va.; High Impact Services Inc.*, Noblesville, Ind. ; Human Potential Consultants L.L.C. *, Carson, Calif.; HumanTouch L.L.C. *, McLean, Va.; ICC Software Inc.*, Plano, Texas; ICEL Integrated Services L.L.C. *, Severn, Md. ; Ideaon*, Concord, Calif.; Index Group Inc.*, Rockville, Md. ; InDyne Inc., Reston, Va.; Information Management Consultants Inc.*, Reston, Va.; Information Management Group Inc., dba IMG*, Fairfax, Va.; Information Systems Solutions Inc., dba ISSI*, Rockville, Md. ; Information Technology Company L.L.C., dba Information Technology*, Falls Church, Va.; Information Technology Strategies L.L.C., dba IT-STRAT*, Dulles, Va.; Innovative Management Strategists L.L.C. *, Woodbridge, Va.; Innovative Solutions & Integration Strategies Corp., dba I.S.I.S. Corp.*, Williamsburg, Va.; Innovative Systems Group, Inc.*, Raleigh, N.C.; InQuirere L.L.C. *, Middletown, N.Y.; InquisIT L.L.C. *, Chantilly, Va.; Integrated Design Group Inc.*, Boston, Mass. ; Integrated Solutions Management Inc., dba ISM*, Tampa, Fla.; Integrity PCB Design Inc., dba Integrity Engineering & Design Solution*, Scottsdale, Ariz.; Intellectus, L.L.C., dba Intellectus*, Chantilly, Va.; IntelliDyne L.L.C., Falls Church, Va.; Intelligent Waves L.L.C.,*, Reston, Va.; Interactive Process Technology L.L.C. *, Jamaica Plain, Mass. ; International Software Systems Inc.*, Greenbelt, Md. ; Interspec L.L.C. *, Virginia Beach, Va.; Intratek Computer Inc.*, Santa Ana, Calif.; IP-Plus Consulting, Inc.*, Columbia, Md. ; J&B Hartigan Inc., dba Technology Management Group*, Carrollton, Va.; Java Productions Inc., dba JPI*, Blacksburg, Va.; JCI Metal Products*, Lemon Grove, Calif.; Johnsons Consulting L.L.C., dba Cutting Edge Technologies & Solutions*, Mesa, Ariz.; JTJ Resources L.L.C. *, Stockbridge, Ga.; K.R.T. L.L.C. *, Chesapeake, Va.; Karda Systems L.L.C. *, Virginia Beach, Va.; KeyBridge Technologies Inc.*, Oklahoma City, Okla.; Keysoft Systems Inc.*, San Diego, Calif.; Kinney Group Inc.*, Indianapolis, Ind. ; Kinsey Technical Services Inc.*, Chantilly, Va.; Kitco Fiber Optic Inc.*, Virginia Beach, Va.; Kizano Corp.*, Woodbridge, Va.; Kochur Trummer L.L.C. *, San Diego, Calif.; Konark Software Solutions L.L.C. *, Virginia Beach, Va.; kSARIA Corp.*, Methuen, Mass. ; Lean Solutions Institute Inc., dba LSI*, Carlsbad, Calif.; Leed Corporate Services Inc., dba Leed Staffing Services*, Brookfield, Conn.; LeMay Engineering and Consulting*, Anchorage, Alaska; LGB & Associates Inc.*, Fairfax, Va.; Lightship Group L.L.C., dba Ask Services*, Wickford, R.I.; LinkedObjects Inc.*, San Diego, Calif.; Loch Harbour Group Inc.*, Alexandria, Va.; Logistics & Environmental Solutions Corp., dba LESCO*, Huntsville, Ala.; Lone Star Aerospace Inc.*, Addison, Texas; LTC Solutions L.L.C. *, Stafford, Va.; Lynch Consultants L.L.C. *, Washington, D.C.; Lynux Works Inc.*, San Jose, Calif.; Macetech Security Solutions Inc., dba Mace Consulting Services*, Panama City, Fla.; Machristom L.L.C. *, Lexington, Ky.; Mag Defense Services L.L.C. *, Chantilly, Va.; Mahan Consulting Group L.L.C. *, McLean, Va.; Management Recruiters of Fort Worth-SW L.P., dba Siter-Neubauer & Associates*, Fort Worth, Texas; Manufacturing Technical Solutions Inc.*, Huntsville, Ala.; Mav6 L.L.C., Alexandria, Va.; MD Consulting L.L.C. *, Waldorf, Md. ; Md2 Systems Inc.*, Glen Allen, Va.; Media Systems Integration L.L.C. *, Chantilly, Va.; MEI Technologies Inc., Houston, Texas; Melco Inc.*, Key West, Fla.; MeriTec Services Inc.*, San Antonio, Texas; Metis Solutions L.L.C. *, Alexandria, Va.; Metis Technology Solutions Inc.*, Mountain View, Calif.; Mid Atlantic Professionals Inc., dba Simply Staffing*, Germantown, Md. ; MIRATEK Corp.*, El Paso, Texas; Mirus Technology L.L.C. *, Fairfax, Va.; Mission Solutions L.L.C., Moorestown, N.J.; MIT Professionals Inc.*, Houston, Texas; MSB Associates L.L.C. *, Downers Grove, Ill.; MultiServices Group International Corp. Inc., dba MSGI Corp.*, Tampa, Fla.; National Material Supply Co., L.L.C. *, St Louis, Mo. ; National Professional Exchange Inc., dba NPX, Hollywood, Md. ; National Marine Mammal Foundation Inc.*, San Diego, Calif.; NBS Enterprises L.L.C. *, Leesburg, Va.; Nelson Engineering Co.*, Merritt Island, Fla.; Netorian*, Middle River, Md. ; NetQuarry Inc.*, Fullerton, Calif.; NevWest Inc.*, National City, Calif.; NextGen Consulting Inc., dba NGCI*, Washington, D.C.; Ninx Technologies L.L.C. *, Bowie, Md. ; Noblis Inc., Falls Church, Va.; Northern Technologies Group dba NTG*, Tampa, Fla.; Northstar Advisory & Engineering Services*, Falls Church, Va.; Novel Applications of Vital Information Inc.*, McLean, Va.; Nsite L.L.C. *, Fredericksburg, Va.; Nsync Services*, Grand Prairie, Texas; Nuvuk Construction L.L.C., dba Pueo Group Contracting*, Aiea, Hawaii; Obsidian Solutions Group L.L.C. *, Fredericksburg, Va.; Office Automation Systems Ltd., dba Oasys*, Peoria, Ill.; Operations & Technology Inc.*, Lanham, Md. ; Optimus Technology Inc.*, Parkville, Md. ; Orbis Technologies Inc.*, Annapolis, Md. ; OST Inc. dba Optimal Solutions & Technologies*, Washington, D.C.; Pacific Rim Defense L.L.C. *, Aiea, Hawaii; Paragon Research Corp.*, Huntsville, Ala.; Pathfinder Consultants, L.L.C. *, Washington, D.C.; Patriot L.L.C., dba Patriot Innovations*, Columbia, Md. ; PAVR Software Solutions L.L.C. *, Fairfax, Va.; PBP Management Group Inc., dba PBP*, Wichita, Kan.; Peerless Technologies Corp.*, Fairborn, Ohio; Pendaran Inc.*, Ann Arbor, Mich.; PGSE Inc., dba PRISM Group*, San Diego, Calif.; Pinnacle Shift Technologies L.L.C. *, Bloomington, Ind. ; Planet 9 Studios Inc.*, San Francisco, Calif.; Plateau Software Inc.*, Issaquah, Wash.; PM Tec Inc., dba PM Tech*, Phoenix, Ariz.; Posterity Group L.L.C. *, Ashton, Md. ; Premier Systems Sales Ltd., dba Premier Systems Ltd.*, Blue Bell, Pa.; Presidio Networked Solutions dba PRESIDIO, Greenbelt, Md. ; PRL Technologies Inc.*, Valrico, Fla.; Probus Test Systems Inc.*, Lincroft, N.J.; Procon Consulting L.L.C. *, Arlington, Va.; Project Support Services Inc.*, Summerfield, Fla.; Project XYZ Inc.*, Huntsville, Ala.; Propulsor Technology Inc.*, Bridgeville, Pa.; ProSync Technology Group L.L.C. *, Ellicott City, Md. ; Protech Global Solutions L.L.C., dba ProTech*, Fairfax, Va.; PTR Automation Inc.*, Panama City Beach, Fla.; Pure Integration dba PureIntegration*, Herndon, Va.; Pyramid Quality Solutions & Innovations Inc.*, Madison Heights, Mich.; Qbase L.L.C. *, Springfield, Ohio; QuarterLine Consulting Services L.L.C. *, McLean, Va.; RadGov Inc.*, Fort Lauderdale, Fla.; RationalSoft Inc., dba Rationalsoft*, Reston, Va.; Real Time Consulting L.L.C. *, Phoenix, Ariz.; Resolution Group Inc.*, Indianapolis, Ind. ; RF Logistics L.L.C. *, Chula Vista, Calif.; Riverside Research Institute, New York, N.Y.; Romanyk Consulting Corp.*, Plano, Texas; Sabre Solar L.L.C., dba Sabre-Co.*, Bethesda, Md. ; Sage Consulting Group Inc.*, Alexandria, Va.; Sand Springs Development Corp.*, Estero, Fla.; Sapphire Innovative Solutions Inc.*, Las Vegas, Nev.; Savantage Financial Services Inc., dba Savantage Solutions*, Rockville, Md. ; ScaVet Technologies L.L.C., dba SVT*, Sewell, N.J.; Science and Technology Associates Inc., dba STA*, Arlington, Va.; ScienceTomorrow L.L.C. *, Woodbridge, Va.; SDV International L.L.C. *, Alexandria, Va.; SE2 Spielman Engineering dba SE2*, Camarillo, Calif.; Security Risk Solutions Inc.*, Mount Pleasant, S.C.; Segue Technologies Inc.*, Arlington, Va.; Shadowens Services Inc.*, Lexington Park, Md. ; Shine Enterprises L.L.C., dba Shine Systems & Technologies*, Charlottesville, Va.; SIBS L.L.C. *, Gladstone, Va.; Soft-Con Enterprises Inc.*, Upper Marlboro, Md. ; Software Transformations Inc.*, Addison, Texas; Solomon Technology Solutions Inc.*, Scottsdale, Ariz.; Solv L.L.C., dba Solv*, Arlington, Va.; Spaan Tech Inc.*, Chicago, Ill.; Spanalytics L.L.C. *, Richmond, Va.; Special Tactical Services L.L.C. *, Virginia Beach, Va.; Spectrum Systems Inc., Fairfax, Va.; SSB Inc.*, Fairfax, Va.; Stokes Evans Ltd.*, Alexandria, Va.; StratComm Inc., dba Boston Publishing Co.*, Natick, Mass. ; Strategic Business Systems Inc.*, Clearwater, Fla.; Strategic Innovative Solutions L.L.C. *, Tampa, Fla.; Street Legal Industries Inc.*, Oak Ridge, Tenn.; Suh’dutsing Telecom L.L.C. *, Cedar City, Utah; Summit Technologies Inc.*, Winter Park, Fla.; Sun Technologies Group Inc.*, San Diego, Calif.; Superior Marine Solutions L.L.C. *, Hampton, Va.; Swain Online Inc., dba Swain Techs*, Ardmore, Pa.; Synchron L.L.C. *, Fairfax Station, Va.; Synchronized Logistics & Technology Corp.*, Washington Township, Mich.; Synexxus Inc.*, Arlington, Va.; Sysorex Government Services Inc., dba ISC-Information Systems Consortium*, Herndon, Va.; Systems Service Enterprises Inc., dba SSE*, St. Louis, Mo. ; T and T Consulting Services Inc., dba TATCS*, Gaithersburg, Md. ; Tactical Edge*, San Diego, Calif.; TaraNet Inc.*, San Diego, Calif.; Tauri Group L.L.C., Alexandria, Va.; TechEdge Solutions Group L.L.C. *, Glenview, Ill.; TechGuard Security L.L.C. *, O’Fallon, Mo. ; Technical Control Consultants L.L.C. *, New Bern, N.C.; Technician Professionals L.L.C. *, Waldorf, Md. ; Technology Solutions Provider Inc., dba TSPI*, Sterling, Va.; TechShot Inc.*, Greenville, Ind. ; Teksouth Corp.*, Gardendale, Ala.; Telstar Associates Inc.*, Boise, Idaho; Tesla Laboratories Inc.*, Arlington, Va.; TestPros Inc.*, Sterling, Va.; Tetrad Digital Integrity dba TDI*, Washington, D.C.; Thomas L. Stowell & Associates L.L.C. *, Norfolk, Va.; Tiburon Associates Inc., Alexandria, Va.; Torch Technologies Inc, Huntsville, Ala.; Trans-Tel Central Inc., dba Trans-Tel*, Norman, Okla.; Trident Alliance Corp. L.L.C. *, Reno, Nev.; Tridyn Group*, Marlton, N.J.; Trifecta Solutions L.L.C. *, Reston, Va.; Trilok Inc.*, Leesburg, Va.; Triquetra Technologies, Inc.*, Newport News, Va.; True Communications Inc.*, Dulles, Va.; Unatek Inc.*, Bethesda, Md. ; United States Marine Inc., Gulfport, Miss. ; University of Tennessee dba Univ. Tennessee System Office, Knoxville, Tenn.; Uptime Solutions Professional Services Group Inc., dba Uptime Solutions PSG*, Richmond, Va.; U.S. Federal Solutions Inc.*, Alexandria, Va.; U.S. Job Force Inc.*, Norfolk, Va.; U.S. Tower Corp.*, Woodlake, Calif.; VDL-5 Technologies Inc.*, Santee, Calif.; Vend-Tech Enterprise L.L.C. *, Wichita, Kan.; Ventrom L.L.C. *, Washington, D.C.; Ventura Technology Enterprises Ltd.*, Waipahu, Hawaii; VersaTech Inc.*, Savage, Md. ; Veteran Corps of America*, O’Fallon, Ill.; Veteran Data Solutions L.L.C. *, Cary, N.C.; VetsAmerica Business Consulting Inc.*, McLean, Va.; Virtual Workgroup Technologies Corp.*, Ashburn, Va.; Vision Information Technology Consultants L.L.C., dba Vision IT Consultants*, Little Rock, Ark. ; Vizz L.L.C. *, Pensacola, Fla.; Voletude L.L.C. *, Morristown, N.J.; Volt Telecom Group, Corona, Calif.; W5 Technologies Inc.*, Huntsville, Ala.; West Sound Workforce Inc.*, Gig Harbor, Wash.; Wiltex Inc.*, Norfolk, Va.; Wiser Company L.L.C. *, Murfreesboro, Tenn.; X Corp Solutions Inc.*, Alexandria, Va.; XMCO Inc.*, Warren, Mich.; Yakshna Solutions Inc.*, Herndon, Va.; Zeneth Technology Partners L.L.C. *, Arlington, Va.; ZFI Engineering & Construction Inc.*, Winter Haven, Fla.; Zolon Tech Inc.*, Herndon, Va.; L-3 National Security Solutions Inc., Reston, Va.; and Portland Tacoma Consulting L.L.C., Stevenson, Wash.
Amee Bay L.L.C. *, Charleston, S.C. (N65236-12-D-4827); Cambridge International Systems Inc.*, Arlington, Va. (N65236-12-D-4828); Forward Slope Inc.*, San Diego, Calif. (N65236-12-D-4829); Grove Resource Solutions Inc.*, Frederick, Md. (N65236-12-D-4830); Prism Maritime*, Chesapeake, Va. (N65236-12-D-4831); and Professional Software Engineering Inc.*, Virginia Beach, Va. (N65236-12-D-4832) are each being awarded an indefinite-delivery/indefinite-quantity, cost-plus-fixed-fee with fixed-price-incentive (firm target) and firm-fixed-price provisions, multiple award contract for the procurement of Production, Installation and In-Service Support (PII) services. The services required include support of design, acquisition, production, integration, testing, installation, and configuration management of certified C5ISR capabilities, with a specific focus on submarine and surface new construction, modernization, systems production/integration, installation and life cycle support of systems and subsystems integrated within or in support of the subsurface and surface platforms, both afloat and shore based. Each contractor will be awarded $2,500 at the time of award. These contracts include options which, if exercised, would bring the cumulative value of these contracts to an estimated $249,590,000. Work will be performed worldwide. Work is expected to be completed by July 2013. If all options are exercised, work could continue until July 2017. Contract funds will not expire at the end of the current fiscal year. The multiple award contracts were competitively procured by full and open competition after exclusion of sources under small business set-aside provisions (10 U.S.C. 2304 (b)(2)) via the Space and Naval Warfare Systems Center e-Commerce Central website and the Federal Business Opportunities website, with eight offers received. Space and Naval Warfare Systems Center Atlantic, Charleston, S.C., is the contracting activity. Raytheon Missile Systems, Tucson, Ariz., is being awarded a $45,913,625 modification to a previously awarded firm-fixed-price contract (N00019-12-C-2000) for the procurement of 123 Tomahawk Block IV Composite Capsule Launching Systems (CCLS) for the U. S. Navy. The CCLS is a water tight encapsulating system in which the Tomahawk missile is loaded, shipped and launched from Navy submarines. Work will be performed in Tucson, Ariz. (24.61 percent); Lincoln, Neb. (23.17 percent); Camden, Ark. (12.48 percent); Rocket Center, W.V. (10.3 percent); Carpentersville, Ill. (8.74 percent); Joplin, Mo. (6.63 percent); Hopkinton, Mass. (4.76 percent); Huntsville, Ark. (4.37 percent); Alamitos, Calif. (2.05 percent); Torrance, Calif. (1.47 percent); Downers Grove, Ill. (.75 percent); and Brooksville, Fla. (.67 percent), and is expected to be completed in July 2014. Contract funds will not expire at the end of the current fiscal year. The Naval Air Systems Command, Patuxent River, Md., is the contracting activity. STARA Technologies Inc.*, Gilbert, Ariz., is being awarded a $14,943,064 firm-fixed-price contract for sustainment of Persistant Ground Surveillance System (PGSS) Operators at Forward Operating Bases throughout Afghanistan for the U.S. Army. Work will be performed in Afghanistan, and is expected to be completed in April 2013. Contract funds in the amount of $14,943,064 will expire at the end of the current fiscal year. This contract was not competitively procured pursuant to 10 U.S.C. 2304(c)(2). The Naval Air Warfare Center Aircraft Division, Lakehurst, N.J., is the contracting activity (N68335-12-C-0357). General Electric Co., Lynn, Mass., is being awarded a $13,154,779 modification to a previously awarded firm-fixed-price contract (N00019-11-C-0045) for engineering and logistics services in support of the F/A-18E/F aircraft F414-GE-400 engine. Work will be performed in Lynn, Mass. (90 percent) and Evendale, Ohio (10 percent), and is expected to be completed in December 2012. Contract funds will in the amount of $274,986 will expire at the end of the current fiscal year. The Naval Air Systems Command, Patuxent River, Md., is the contracting activity. The USA Environmental Inc.*, Oldsmar, Fla., is being awarded a $10,685,460 firm-fixed-price contract for munitions clearance in three remedial action areas, at the Operable Unit 2-B, Non-Time Critical Removal Action, Former Adak Naval Air Facility, Adak Island, Alaska. The work to be performed provides for development of project plans and completes a munitions clearance to prescribed depths in three remedial action areas totaling about 323 acres in accordance with the agreements presented in the Adak Operable Unit B-2, Non Time Critical Removal Action, Action Memorandum. Work will be performed on Adak Island, Alaska and is expected to be completed by July 2016. Contract funds will not expire at the end of the current fiscal year. This contract was competitively procured via the Navy Electronic Commerce Online website, with seven proposals received. The Naval Facilities Engineering Command, Northwest, Silverdale, Wash., is the contracting activity (N44255-12-C-3003). HDR Architecture Inc., Chicago, Ill., is being awarded $10,000,000 under a previously awarded indefinite-delivery/indefinite-quantity contract (N40083-08-D-0065) to exercise option four for architectural and engineering services at Naval Station Great Lakes. The work to be performed provides for design packages repairs and alterations to existing facilities, collateral equipment lists; project preliminary hazard analysis; obtaining permits and regulatory approvals; surveys (topographic and boundary); soil investigations, comprehensive interior design; contractor submittal review; construction inspection, observation and consultation; Operations and Maintenance Support Information (OMSI); environmental assessments; fire protection; anti-terrorism/force protection evaluation and design; designs for phased construction; and as-built drawing preparation. Acceptance of project-related work that requires comprehensive asbestos/lead paint surveying and provide a design that will support the removal, demolition, and disposal of these and other hazardous materials in accordance with applicable laws and regulations is required. The current total estimated contract amount after exercise of this option will be $50,000,000. Work will be performed in Great Lakes, Ill., and work is expected to be completed July 15, 2013. Contract funds in the amount of $10,000,000 are obligated on this award and will not expire at the end of the current fiscal year. The Naval Facilities Engineering Command, Midwest, Great Lakes, Ill., is the contracting activity. Burns & McDonnell Engineering Company Inc., Kansas City, Mo., is being awarded a $8,349,136 firm-fixed-price, stand alone architect-engineering contract for architectural and engineering services required to complete design services for two projects: a Nuclear Power Operational Training Facility and a Nuclear Power Operational Support Facility at Joint Base Charleston, Charleston, S.C. The work to be performed provides for preparation of design/build request for proposals and other post construction design services. The anticipated design start dates are August 2012 and August 2013. Work will be performed in Charleston, S.C., and work is expected to be completed April 2016. Contract funds in the amount of $8,349,136 are obligated on this award and will not expire at the end of the current fiscal year. This contract was competitively procured via the Navy Electronic Commerce Online website with 11 proposals received. The Naval Facilities Engineering Command, Southeast, Jacksonville, Fla., is the contracting activity (N69450-12-C-0025). Pave-Tech Inc., Carlsbad, Calif., is being awarded $8,344,795 for firm-fixed-price task order #0012 under a previously awarded multiple award construction contract (N62473-09-D-1605) for the design and construction of MV- 22 Aviation Pavement Project at Marine Corps Air Station, Camp Pendleton, Calif. The work to be performed provides for the design, construction, and rehabilitation of aircraft pavement to accommodate MV- 22 squadrons. The contractor shall provide all labor, supervision, engineering, materials, equipment, tools, parts, supplies, and transportation to accomplish the work in accordance with the request for proposal requirements. Work will be performed in Oceanside, Calif., and is expected to be completed by January 2014. Contract funds in the amount of $8,344,795 are obligated on this award and will not expire at the end of the current fiscal year. Four proposals were received for this task order. The Naval Facilities Engineering Command, Southwest, San Diego, Calif., is the contracting activity. FLIR Systems Inc., North Billerica, Mass., is being awarded a $7,057,070 modification under previously awarded contract (N00164-11-D-JQ79). The contract ceiling will increase to $11,500,000 for the test, teardown, and evaluation, repair, and data for the Maritime Forward Looking Infrared System, Combatant Craft Forward Looking Infrared System, Shipboard Infrared Visual Sensor System, and the SeaFLIR system. The systems provide maritime crafts with all-weather, day/night, high resolution, stabilized FLIR (forward looking infrared) thermal imaging capability to augment existing optical and radar sensors. Work will be performed in North Billerica, Mass., and is expected to be completed by July 2016. This is a commercial contract and was issued on a sole source basis in accordance with 10 U.S.C. 2304(c)(1), as set forth in FAR 6.203-1(b)(1)(ii). Contract funds in the amount of $13,000 will expire at the end of the current fiscal year. Naval Surface Warfare Center, Crane Division, Crane, Ind., is the contracting activity. York River Electric Inc. Yorktown, Va., (FA4800-12-D-0001); Brady-Flour L.L.C., San Diego, Calif., (FA4800-12-D-0002); Heartland Construction, Paducah, Ky., (FA4800-12-D-003); Homeland Contracting Corp., Chesapeake, Va., (FA4800-12-D-0004); Noah MEB JV3, Virginia Beach, Va., (FA4800-12-D-005) and Abbott General Construction Inc., Hampton, Va., (FA4800-12-D-0006) are being awarded a $250,000,000 indefinite-delivery/indefinite-quantity contract to provide various construction projects. The location of the performance is Joint Base Langley-Eustis, Va., to include any federal institution in the Hampton Roads area of Va. Work is to be completed by July 11, 2013. The contracting activity is the 633rd Contracting Squadron, Langley Air Force Base, Va.
Sprint Solutions Inc., Reston, Va., was awarded a $45,000,000 firm-fixed-price contract. The award will provide for the cell phone and BlackBerry services for the U.S. Army Human Resources Command and its subordinates. Work location will be determined, with an estimated completion date of April 28, 2017. The bid was solicited through the Internet, with four bids received. The U.S. Army Contracting Command, For Knox, Ky., is the contracting activity (W9124D-12-D-0040). Thales Raytheon Systems Company L.L.C., Fullerton, Calif., was awarded a $44,921,549 cost-plus-fixed-fee contract. The award will provide for the modification of an existing contract to procure AN/TPQ-37 Receiver Exciter Installation Kits, associated spares and Firefinder Centerline Software. Work will be performed in Fullerton, with an estimated completion date of Sept. 28, 2012. One bid was solicited, with one bid received. The U.S. Army Contracting Command, Fort Monmouth, N.J., is the contracting activity (W15P7T-06-D-T001). Sikorsky Aircraft Corp., Stratford, Conn., was awarded a $41,906,702 firm-fixed-price contract. The award will provide for the modification of an existing contract to procure Integrated Logistics Support, Program Management, Aircraft Warranty, Maintenance Manpower and Software Loading to support the 15 UH-60M “Green” aircraft procured for the Swedish Armed Forces. Work will be performed in Stratford, with an estimated completion date of Dec. 31, 2014. One bid was solicited, with one bid received. The U.S. Army Contracting Command, Redstone Arsenal, Ala., is the contracting activity (W58RGZ-08-C-0003). L-3 Communications Systems West, Salt Lake City, Utah, was awarded a $26,305,900 firm-fixed-price contract. The award will provide for the modification of an existing contract to procure 580 Remote Operations Video Enhanced Receiver 6 upgrade kits. Work will be performed in Salt Lake City, with an estimated completion date of April 30, 2013. One bid was solicited, with one bid received. The U.S. Army Contracting Command, Redstone Arsenal, Ala., is the contracting activity (W58RGZ-07-C-0209). New World Solutions Inc., Fairfax, Va., was awarded a $25,000,000 cost-plus-fixed-fee contract. The award will provide for the engineering and support services to the Program Integration Office for quick-reaction response to Department of Defense and national requirements. Work will be performed in Fairfax, with an estimated completion date of June 29, 2017. One bid was solicited, with one bid received. The U.S. Army Contracting Command, Natick, Mass., is the contracting activity (W911QY-12-D-0021). Dell Federal Systems, Round Rock, Texas, was awarded a $21,997,612 firm-fixed-price contract. The award will provide for the procurement of hardware to support the life cycle replace program under the direction of the Science Engineering Center at Fort Lee, Va. Work will be performed in Round Rock, with an estimated completion date of Aug. 30, 2012. The bid was solicited through the Internet, with three bids received. The U.S. Army Corps of Engineers, Vicksburg, Miss., is the contracting activity (W91QUZ-06-D-0002). Defense Support Services L.L.C., Marlton, N.J., was awarded a $20,629,497 cost-plus-fixed-fee contract. The award will provide for the maintenance and support services for the Directorate of Logistics at Fort Hood, Texas. Work will be performed in Fort Hood, with an estimated completion date of Dec. 31, 2012. One bid was solicited, with one bid received. The U.S. Army Contracting Command, Fort Hood, Texas, is the contracting activity (W91151-12-D-0010). EMI Technologies, Las Cruces, N.M., was awarded a $20,000,000 firm-fixed-price contract. The award will provide for the procurement of General Purpose Instrumentation Vans Shelters and Trailers in support of White Sands Missile Range, N.M. Work will be performed in Las Cruces, with an estimated completion date of June 26, 2013. The bid was solicited through the Internet, with three bids received. The U.S. Army Contracting Command, White Sands Missile Range, N.M., is the contracting activity (W9124R-11-D-0207). Honeywell International Inc., Tempe, Ariz., was awarded a $17,520,857 firm-fixed-price contract. The award will provide for the procurement of Aviation Ground Power Unit Turbine Engines. Work will be performed in Phoenix, Ariz., with an estimated completion date of Nov. 30, 2013. The bid was solicited through the Internet, with one bid received. The U.S. Army Contracting Command, Chambersburg, Penn., is the contracting activity (W911N2-12-C-0037). Northrop Grumman Technical Services Inc., Herndon, Va., was awarded a $14,273,646 cost-plus-fixed-fee contract. The award will provide for the services in support of a Government Owned Contractor Operated facility in Afghanistan. Work will be performed in Sierra Vista, Ariz.; and Afghanistan, with an estimated completion date of March 29, 2013. One bid was solicited, with one bid received. The U.S. Army Contracting Command, Redstone Arsenal, Ala., is the contracting activity (W58RGZ-08-C-0025). American Ordnance L.L.C., Middletown, Iowa, was awarded a $14,126,142 firm-fixed-price contract. The award will provide for the modification of an existing contract to procure M234 and M234A1 120mm Propelling Charges. Work will be performed in Middletown, with an estimated completion date of Aug. 30, 2013. The bid was solicited through the Internet, with four bids received. The U.S. Army Contracting Command, Rock Island, Ill., is the contracting activity (W52P1J-09-C-0029). Rolls-Royce Corp., Indianapolis, Ind., was awarded a $13,879,930 firm-fixed-price contract. The award will provide for the services in support of the upgraded single channel full authority digital engine control retrofit of OH-58D fleet. Work will be performed in Indianapolis, with an estimated completion date of July 29, 2014. One bid was solicited, with one bid received. The U.S. Army Contracting Command, Redstone Arsenal, Ala., is the contracting activity (W58RGZ-11-D-0257). Day Zimmerman — Lone Star L.L.C., Texarkana, Texas, was awarded a $12,622,914 firm-fixed-price contract. The award will provide for the procurement of PBXN-9 Supplementary Charge. Work will be performed in Texarkana, with an estimated completion date of June 28, 2017. The bid was solicited through the Internet, with five bids received. The U.S. Army Contracting Command, Rock Island, Ill., is the contracting activity (W52P1J-12-D-0057). Chemring Ordnance, Perry, Fla., was awarded an $11,777,500 firm-fixed-price contract. The award will provide for the procurement of PBXN-9 Supplementary Charge. Work will be performed in Perry, with an estimated completion date of June 28, 2017. The bid was solicited through the Internet, with five bids received. The U.S. Army Contracting Command, Rock Island, Ill., is the contracting activity (W52P1J-12-D-0056). Timken Aerospace Transmissions L.L.C., Manchester, Conn., was awarded contract SPRRA1-12-D-0048. The award is a firm fixed price contract with a maximum $32,738,850 for swashplate controls. There are no other locations of performance. Using service is Army. Type of appropriation is fiscal 2012 Army Working Capital Funds. There were two proposals with two responses. The date of performance completion is July 12, 2015. The contracting activity is the Defense Logistics Agency Aviation, Redstone Arsenal, Ala.
Crown Clothing Co., Vineland, N.J.*, was issued a modification exercising fourth option on contract SPM1C1-08-D-1104/P00030. The award is a firm fixed price, indefinite delivery and indefinite quantity contract with a maximum $8,509,347 man’s poly/wool, gabardine coats. There are no other locations of performance. Using service is Marine Corps. There were two proposals with two responses. Type of appropriation is fiscal 2012 Defense Working Capital Funds. The date of performance completion is July 26, 2013. The contracting activity is the Defense Logistics Agency Troop Support, Philadelphia, Pa.
Atlas Air Inc., of Purchase, N.Y., is being awarded one of three U.S. Transportation Command (USTRANSCOM) contracts to obtain international air cargo pickup/delivery service under the Theater Express II program. This contract, an Indefinite Delivery/Indefinite Quantity, fixed-price award, has an overall four-year maximum ceiling program value of $2,916,336,642 with a minimum guaranteed award amount of $2,500. The contract is for international commercial air cargo service within the U.S. Central Command (CENTCOM) area of operations. Transportation services include the time-definite, Aerial Port-to-Aerial Port pick-up and delivery, Intransit Visibility (ITV), and customs processing and clearance of palletized and roll-on/roll-off vehicle cargo to CENTCOM Forward Operating Bases/Forward Operating Locations. The performance period for the base year is Aug. 1, 2012 to July 31, 2013, with three one-year option periods. Nine proposals were received. The contracting activity is USTRANSCOM , Directorate of Acquisition, Scott Air Force Base, Ill., 62225-5357 (HTC711-12-D-C004). Kalitta Air LLC, of Ypsilanti, Mich., is being awarded one of three U.S. Transportation Command (USTRANSCOM) contracts to obtain international air cargo pickup/delivery service under the Theater Express II program. This contract, an Indefinite Delivery/Indefinite Quantity, fixed-price award, has an overall four-year maximum ceiling program value of $2,916,336,642 with a minimum guaranteed award amount of $2,500. The contract is for international commercial air cargo service within the U.S. Central Command (CENTCOM) area of operations. Transportation services include the time-definite, Aerial Port-to-Aerial Port pick-up and delivery, Intransit Visibility (ITV), and customs processing and clearance of palletized and roll-on/roll-off vehicle cargo to CENTCOM Forward Operating Bases/Forward Operating Locations. The performance period for the base year is Aug. 1, 2012 to July 31, 2013, with three one-year option periods. Nine proposals were received. The contracting activity is USTRANSCOM , Directorate of Acquisition, Scott Air Force Base, Ill., 62225-5357 (HTC711-12-D-C005). National Air Cargo Group, Inc., of Ypsilanti, Mich., is being awarded one of three U.S. Transportation Command (USTRANSCOM) contracts to obtain international air cargo pickup/delivery service under the Theater Express II program. This contract, an Indefinite Delivery/Indefinite Quantity, fixed-price award, has an overall four-year maximum ceiling program value of $2,916,336,642 with a minimum guaranteed award amount of $2,500. The contract is for international commercial air cargo service within the U.S. Central Command (CENTCOM) area of operations. Transportation services include the time-definite, Aerial Port-to-Aerial Port pick-up and delivery, Intransit Visibility (ITV), and customs processing and clearance of palletized and roll-on/roll-off vehicle cargo to CENTCOM Forward Operating Bases/Forward Operating Locations. The performance period for the base year is Aug. 1, 2012 to July 31, 2013, with three one-year option periods. Nine proposals were received. The contracting activity is USTRANSCOM, Directorate of Acquisition, Scott Air Force Base, Ill., 62225-5357 (HTC711-12-D-C006). Sikorsky Aircraft Corp., Stratford, Conn., was awarded a $2,827,576,695 firm-fixed-price contract. The award will provide for the procurement, as well as support services and technical data, of up to 916 UH/MH-60 Helicopters for the U.S. Army, U.S. Navy and Foreign Military Sales. Work will be performed in Stratford, with an estimated completion date of Sept. 30, 2016. The bid was solicited through the Internet, with one bid received. The U.S. Army Contracting Command, Redstone Arsenal, Ala., is the contracting activity (W58RGZ-12-C-0008). General Atomics Aeronautical Systems Inc., Poway, Calif., was awarded a $410,981,211 fixed-price-incentive contract. The award will provide for the procurement of Gray Eagle systems, including initial spares, plus additional hardware. Work will be performed in Poway, with an estimated completion date of March 31, 2015. The bid was solicited through the Internet, with one bid received. The U.S. Army Contracting Command, Redstone Arsenal, Ala., is the contracting activity (W58RGZ-12-C-0057). AAI Corp., Hunt Valley, Md., was awarded a $358,000,000 firm-fixed-price contract. The award will provide for the modification of an existing contract to procure Tactical Common Data Link Retrofit Kits and Related Equipment for the Shadow Unmanned Aircraft System. Work will be performed in Hunt Valley, with an estimated completion date of July 31, 2014. One bid was solicited, with one bid received. The U.S. Army Contracting Command, Redstone Arsenal, Ala., is the contracting activity (W58RGZ-08-C-0023). Lockheed Martin Missiles and Fire Control, Grand Prairie, Texas, was awarded a $353,191,632 firm-fixed-price contract. The award will provide for the procurement of Guided Multiple Launch Rocket System Full-Rate Production VII Unitary Pods, Reduced Range Rocket Pods, Download/Demate Pods and integrated logistics support services. Work will be performed in Dallas, Texas; Camden, Ark. ; Orland, Fla.; and Lufkin, Texas; with an estimated completion date of Dec. 29, 2014. The bid was solicited through the Internet, with one bid received. The U.S. Army Contracting Command, Redstone Arsenal, Ala., is the contracting activity (W31P4Q-12-C-0151). Mission Essential Personnel, Columbus, Ohio, was awarded a $325,000,000 cost-plus-award-fee contract. The award will provide for the modification of an existing contract to procure linguist and interpretation services. Work will be performed in Afghanistan, with an estimated completion date of Sept. 6, 2012. The bid was solicited through the Internet, with six bids received. The U.S. Army Intelligence and Security Command, Fort Belvoir, Va., is the contracting activity (W911W4-07-D-0010). Fidelity Technologies Corp., Reading, Pa., was awarded a $176,000,000 firm-fixed-price contract. The award will provide for the procurement of the 3-Kilowat Tactical Quiet Generator Sets. Work will be performed in Reading, with an estimated completion date of July 4, 2017. The bid was solicited through the Internet, with five bids received. The U.S. Army Contracting Command, Alexandria, Va., is the contracting activity (W909MY-12-D-0018). Northrop Grumman Systems Corp., Linthicum, Md., was awarded a $76,727,752 cost-plus-fixed-fee contract. The award will provide for the engineering and technical services in support of the Vehicle and Dismount Exploitation Radar system. Work will be performed in Linthicum, with an estimated completion date of April 26, 2013. The bid was solicited through the Internet, with one bid received. The U.S. Army Contracting Command, Fort Monmouth, N.J., is the contracting activity (W15P7T-11-C-H267). Scientific Research Corporation, Atlanta, Ga., awarded a $74,192,846 cost-plus-fixed-fee contract. The award will provide for the procurement of the Threat Signal Simulator Program. Work will be performed in Atlanta, with an estimated completion date of June 27, 2017. One bid was solicited, with one bid received. The U.S. Army Program Executive Office for Simulation, Training and Instrumentation, Orlando, Fla., is the contracting activity (W900KK-12-C-0001). Olin-Winchester, East Alton, Ill., was awarded a $56,620,542 firm-fixed-price contract. The award will provide for the modification of an existing contract to procure ammunition, including 5.56mm; 7.62mm; and Caliber .50. Work will be performed in East Alton, with an estimated completion date of Dec. 31, 2013. The bid was solicited through the Internet, with two bids received. The U.S. Army Contracting Command, Rock Island, Ill., is the contracting activity (W52P1J-11-C-0038). Ellwood National Forge, Irvine, Penn., was awarded a $52,704,768 firm-fixed-price contract. The award will provide for the modification of an existing contract to procure Bomb Live Unit-109 empty case assemblies and containers/pallets. Work will be performed in Irvine, with an estimated completion date of Sept. 30, 2014. The bid was solicited through the Internet, with three bids received. The U.S. Army Contracting Command, Rock Island, Ill., is the contracting activity (W52P1J-12-C-0036). BAE Systems, Land & Armaments L.P., U.S. Combat Systems, Minneapolis, Minn., is being awarded a $63,603,774 modification to previously awarded contract (N00024-10-C-5349) for fiscal 2012 production requirements for canisters and associated hardware in support of the MK 41 Vertical Launching System (VLS). The MK 41 VLS provides a missile launching system for CG 47 and DDG 51 class ships, as well as surface combatants of allied navies. Efforts under this contract include the production of the canisters for the Standard Missile-2, Vertical Launch Anti-Submarine Rocket, Standard Missile-3, Standard Missile-6, Evolved Seasparrow Missile, and Tactical Tomahawk. The canisters provide rocket motor exhaust gas containment and a launch rail during missile firing. They also serve as missile shipping and storage containers. Work will be performed in Aberdeen, S.D. (87 percent); Minneapolis, Minn. (5 percent); Germany (4 percent); Australia (2 percent); Spain (1 percent); The Netherlands (.5 percent); and Turkey (.5 percent), and is expected to be completed by December 2014. Contract funds will not expire at the end of the current fiscal year. The Naval Sea Systems Command, Washington, D.C., is the contracting activity. URS Federal Technical Services, Germantown Md., is being awarded a $21,977,441 cost-plus fixed-fee modification to previously awarded contract (N00024-11- C-6282) exercising previously negotiated options and providing incremental funding for professional support services to Team Submarine in support of Towed Array Systems, associated component systems, and Hull Sensor Systems. URS Federal Technical Services, will provide professional support services in the areas of (1) program analysis, development, control and monitoring, (2) administration, communication and human resources, (3) business, finance, and cost estimating, (4) technical and engineering support, (5) information technology, and (6) life cycle support. Work will be performed in Washington, D.C., and is expected to be completed by September 2012. Contract funds in the amount of $4,808,019 will expire at the end of the current fiscal year. The Naval Sea Systems Command, Washington, D.C., is the contracting activity. 3Phoenix, Inc.*, Chantilly, Va., is being awarded a $10,627,368 cost-plus-fixed-fee contract for the design, development and production of one low-profile photonics mast engineering development model and associated engineering services. This effort is for Phase III of a Small Business Innovative Research (SBIR) topic number N04-138, “Real-time Data Fusion and Visualization Interface for Environmental Research Data.” The technology development efforts to support fielding Low Profile Photonics Masts and Inverted Passive Electrical Networking (iPEN) Telemetry Kits have been through SBIR. Developed technologies provide a significant improvement to U.S. Navy Open Architecture and Network Centric Operations. This contract includes options which, if exercised, would bring the cumulative value of this contract to $36,975,796. Work will be performed in Wake Forest, N.C. (70 percent), and Chantilly, Va. (30 percent), and is expected to be completed by May 2014. Contract funds will not expire at the end of the current fiscal year. This contract was not competitively procured. The Naval Sea Systems Command, Washington, D.C., is the contracting activity (N00024-12-C-6249). BAE, Mclean, Va. (HHM402-12-D-0007); Booz Allen Hamilton, Mclean, Va. (HHM402-12-D-0008); Buffalo Group, Reston, Va. (HHM402-12-D-0009); CACI, Chantilly, Va. (HHM402-12-D-0010); CTC, Johnstown, Pa. (HHM402-12-D-0011); Cyberspace Solutions, Reston, Va. (HHM402-12-D-0012); L3, Reston, Va. (HHM402-12-D-0013); Lockheed Martin, Alexandria, Va. (HHM402-12-D-0014); Mission Essential Personnel, Chantilly, Va. (HHM402-12-D-0015); SAIC, Reston, Va. (HHM402-12-D-0016); and Veritiss, Reston, Va. (HHM402-12-D-0017) is being awarded a multiple-award, multi-year, indefinite-delivery/indefinite-quantity contract (Solutions for Intelligence Analysis II) with a potential ceiling of $5,600,000,000 over a five-year period, expected to be completed July 15, 2017. Work will be performed worldwide to provide professional support services to the intelligence analysis mission, war fighters, defense planners, and defense and national security policy makers. The Virginia Contracting Activity is the contracting activity. Assured Information Security, Inc., Rome, N.Y. (FA8750-12-D-0002); Global Info Tek, Inc., Reston, Va. (FA8750-12-D-0003); Radiance Technologies, Inc., Huntsville, Ala. (FA8750-12-D-0004); CACI, Inc., Federal, Chantilly, Va. (FA8750-12-D-0005); Exelis, Inc., Herndon, Va. (FA8750-12-D-0006); and L-3 Services, Inc., Reston, Va. (8750-12-D-0007) are being awarded a $300,000,000 multiple award indefinite-delivery/indefinite-quantity with cost-plus-fixed-fee, firm-fixed-price, fixed- price incentive or cost-plus-incentive contract to provide cyber research and solutions in support to the Agile Cyber Technology effort. The location of the performance is listed above. Work is to be completed by Nov. 30, 2018. AFRL/RIKD, Rome N.Y., is the contracting activity. Goodrich Corp., Westford, Mass., is being awarded a $68,690,000 firm-fixed-price and cost-reimbursable contract for the procurement and deployment of four DB110 reconnaissance pod systems for use on the F-16 C/D block. The location of the performance is Westford, Mass. Work is to be completed by December 2016. ASC/WINK, Wright-Patterson Air Force Base, Ohio, is the contracting activity (FA8620-12-C-4006). The Boeing Co., St. Louis, Mo., is being awarded a $30,000,000 five-year contract (two-year basic with one, two-year option and one, one-year option) to repair B-1 parts. The location of the performance is Dyess Air Force Base, Texas. Work is to be completed by July 2017. The 848 SCMG/PKBC, Tinker Air Force Base, Okla., is the contracting activity (FA8119-12-D-0009). Tetra Tech EC, Inc., San Diego, Calif., is being awarded $9,846,298 for firm-fixed-price task order 0012 under a previously awarded radiological environmental multiple award contract (N62473-10-D-0809) for performing radiological support for Parcel C Phase II at Hunters Point Shipyard. The work to be performed is to complete the base-wide sewer sanitary system and storm drain time critical removal action, and perform a final status survey of the ship berths adjacent to Parcel C. The end result of this removal action is to achieve unrestricted free release of the sewer and storm drain survey units and ship berths. Work will be performed in San Francisco, Calif., and is expected to be completed by January 2014. Contract funds will not expire at the end of the current fiscal year. Three proposals were received for this task order. The Naval Facilities Engineering Command, Southwest, San Diego, Calif., is the contracting activity. Oshkosh Corp., Oshkosh, Wis., was awarded a firm-fixed-price contract with a maximum $9,753,450 for wheel and tire assembly. There are no other locations of performance. Using service is Defense Logistics Agency. Type of appropriation is fiscal 2012 Army Working Capital Funds. There were seven responses to the full and open solicitation. The date of performance completion is July 3, 2015. The Defense Logistics Agency Land, Warren, Mich., is the contracting activity (SPRDL1-12-D-0034). AC Fabricated Products*, Grove Hill, Ala., was awarded a firm-fixed-price, fixed-quantity contract with a maximum $6,633,187 for tent assembly materials. There are no other locations of performance. Using services are Army, Navy, Air Force, and Marine Corps. Type of appropriation is fiscal 2012 Defense Working Capital Funds. There were three responses to the Defense Logistics Agency Internet Bid Board System solicitation. The date of performance completion is Feb. 28, 2014. The Defense Logistics Agency Troop Support, Philadelphia, Pa., is the contracting activity (SPM1C1-12-C-0017). Rolls Royce Defense Services, Indianapolis, Ind., was awarded an $182,901,902 firm-fixed-price contract. The award will provide for the M250 C30/R3 engine contractor logistics support services. Work will be performed in Indianapolis, Ind., with an estimated completion date of Dec. 31, 2016. One bid was solicited, with one bid received. The U.S. Army Contracting Command, Redstone Arsenal, Ala., is the contracting activity (W58RGZ-12-D-0130). Kongsberg Defence & Aerospace, Kongsberg, Norway, was awarded an $85,000,000 firm-fixed-price contract. The award will provide for the modification of an existing contract to procure spare parts and services in support of the common remotely operated weapon station. Work will be performed in Johnstown, Pa., with an estimated completion date of May 31, 2013. The bid was solicited through the Internet, with one bid received. The U.S. Army Contracting Command, Picatinny Arsenal, Ala., is the contracting activity (W15QKN-07-D-0018). AM General, South Bend, Ind., was awarded a $53,100,000 cost-plus-fixed-fee contract. The award will provide for the modification of an existing contract to procure system technical support. Work will be performed in Livonia, Mich., with an estimated completion date of April 3, 2013. One bid was solicited, with one bid received. The U.S. Army Contracting Command, Warren, Mich., is the contracting activity (W56HZV-08-C-0016). American Contracting, L.L.C, Fort Collins, Colo. (W9128F-12-D-0030); GBK, J.V., Rapid City, S.D. (W9128F-12-D-0026); Mountain Movers/Ainsworth-Benning, L.L.C., Rapid City, S.D. (W9128F-12-D-0027); Pro-Mark Services, Inc., West Fargo, N.D. (W9128F-12-D-0028); and S&K Environmental, L.L.C., Arlee, Mont. (W9128F-12-D-0029), were awarded a $49,000,000 firm-fixed-price contract. The award will provide for the construction services within the U.S. Army Corps of Engineers Omaha District. Work location will be determined with each task order, with an estimated completion date of June 24, 2017. The bid was solicited through the Internet, with seven bids received. The U.S. Army Corps of Engineers, Omaha, Neb., is the contracting activity. DCD-YATES, J.V., Ocean Springs, Miss., was awarded a $41,369,000 firm-fixed-price contract. The award will provide for the construction of an operational readiness training complex. Work will be performed in Camp Shelby, Miss., with an estimated completion date of June 14, 2014. The bid was solicited through the Internet, with 13 bids received. The National Guard Bureau, Jackson, Miss., is the contracting activity (W9127Q-12-C-0004). Cazador Apparel, L.L.C., Anchorage, Alaska, was awarded a $35,218,634 firm-fixed-price contract. The award will provide for the construction services in support medical facilities in Agana Heights, Guam. Work will be performed in Guam, with an estimated completion date of Aug. 31, 2014. The bid was solicited through the Internet, with five bids received. The U.S. Army Corps of Engineers, Little Rock, Ark., is the contracting activity (W9127S-12-C-6003). EADS North America, Inc., Herndon, Va., was awarded a $15,221,000 firm-fixed-price contract. The award will provide for the modification of an existing contract to procure contractor logistic support. Work will be performed in Columbus, Miss., with an estimated completion date of June 30, 2016. One bid was solicited, with one bid received. The U.S. Army Contracting Command, Redstone Arsenal, Ala., is the contracting activity (W58RGZ-06-C-0194). General Dynamics Land Systems, Sterling Heights, Mich., was awarded a $13,580,162 firm-fixed-price contract. The award will provide for the modification of an existing contract to procure services in support of U.S. government termination liability. Work will be performed in Lima, Ohio, with an estimated completion date of Jan. 1, 2013. One bid was solicited, with one bid received. The U.S. Army Contracting Command, Warren, Mich., is the contracting activity (W56HAV-11-C-0350). Katmai Information Technologies, L.L.C., Anchorage, Alaska, was awarded a $10,331,238 cost-plus-fixed-fee contract. The award will provide for the range-operation services and maintenance. Work will be performed in Killeen, Texas, with an estimated completion date of June 30, 2013. The bid was solicited through the Internet, with nine bids received. The U.S. Army Contracting Command, Fort Hood, Texas, is the contracting activity (W9124J-12-C-0001). Pilkington Commercial Co., Yuma, Ariz., was awarded a $10,030,000 firm-fixed-price contract. The award will provide for the design and construction of a special operations forces free fall simulator facility. Work will be performed in Yuma, Ariz., with an estimated completion date of Dec. 30, 2013. The bid was solicited through the Internet, with eight bids received. The U.S. Army Corps of Engineers, Los Angeles, Calif., is the contracting activity (W912PL-12-C-0015). Data Tactics Corp., McLean, Va., was awarded a $9,750,507 cost-plus-fixed-fee contract. The award will provide for the research and development services in support of the next-generation multi-modal analysis for counterinsurgency. Work will be performed in McLean, Va., with an estimated completion date of June 20, 2014. The bid was solicited through the Internet, with one bid received. The U.S. Army Contracting Command, Adelphi, Md., is the contracting activity (W911QX-12-C-0059). Strategic Resources, Inc., McLean, Va., was awarded a $7,456,942 firm-fixed-price contract. The award will provide for the base services in support of Joint Base Lewis-McChord’s mobilization mission. Work will be performed in Joint Base Lewis-McChord, Wash., with an estimated completion date of Dec. 26, 2012. Six bids were solicited, with six bids received. The U.S. Army Contracting Command, Fort Lewis, Wash., is the contracting activity (W9124D-11-C-9000). Burns & McDonnell Engineering Co., Inc., Kansas City, Mo., was awarded a $7,081,814 firm-fixed-price contract. The award will provide for the services in support of the smart power infrastructure demonstration for energy reliability and security at Fort Carson, Colo. Work will be performed in Fort Carson, Colo., with an estimated completion date of March 31, 2014. The bid was solicited through the Internet, with 17 bids received. The U.S. Army Corps of Engineers, Omaha, Neb., is the contracting activity (W9128F-12-C-0035). Globecomm Systems, Inc.*, Hauppauge, N.Y. (N65236-12-D-3274); DRS Technical Services, Inc., Herndon, Va. (N65236-12-D-3275); and L-3/3Di Technologies, L.L.C., Hanover, Md. (N65236-12-D-3276), are each being awarded an indefinite-delivery/indefinite-quantity, firm-fixed-price, multiple award contract, with a cumulative value of $17,001,463 to provide commercial-off-the-shelf satellite network and communications equipment and other services. Each contractor will be awarded $8,333 at the time of award. These contracts include options, which, if exercised, could bring the combined cumulative value of these multiple award contracts to an estimated $85,007,313. These three contractors may compete for the delivery orders under the terms and conditions of the awarded contracts. Work will be performed in Charleston, S.C., and is expected to be completed by July 2013. Work will continue through July 2017 if all options are exercised. Contract funds will not expire at the end of the current fiscal year. These contracts were competitively procured with proposals solicited via the Commerce Business Daily’s Federal Business Opportunities website, and the Space and Naval Warfare Systems E-Commerce Central website, with three offers received. Space and Naval Warfare Systems Center Atlantic, Charleston, S.C., is the contracting activity. AQUATE Corp., Huntsville, Ala., is being awarded a $14,837,366 modification to previously awarded contract (N00174-11-C-0037) to provide work efforts for procurement, total package fielding, and sustainment support of state-of-the-art, commercial-off-the-shelf equipment in support of chemical, biological, radiological, nuclear and high-yield explosives responders. This requirement is to provide engineering and testing; performing modeling and simulation; conducting situational awareness; implementing new equipment and sustainment training; fielding equipment, sustainment, and providing dedicated logistics support to joint program offices and other federal agency customers dependent on critical chemical, biological, radiological, nuclear and high-yield explosives equipment in support of their missions. Work will be conducted in Huntsville, Ala. (60 percent), and Aberdeen, Md. (40 percent), and is expected to be completed by July 2012. Contract funds will not expire at the end of the current fiscal year. The Naval Surface Warfare Center, Indian Head, Md., is the contracting activity (N00174-11-C-0037). Lone Star Aerospace*, Addison, Texas, is being awarded a $12,367,735 cost-plus-fixed-fee, indefinite-delivery/indefinite-quantity contract for predictive business and technical decision analysis services in support of Naval Air Systems Command and the Naval Aviation Enterprise. The goal of these services is to improve procurement, improve operations, improve sustainment, address unplanned circumstances, and assist management in making decisions. These requirements are focused on activities which align with future mission opportunities and the organizational structure, processes, and analytical justification necessary to effectively address them. Work will be performed in Addison, Texas (80 percent); Patuxent River, Md. (10 percent); China Lake, Calif. (5 percent); and Pt. Mugu, Calif. (5 percent). Work is expected to be completed in July 2015. Contract funds in the amount of $855,011 will expire at the end of the current fiscal year. This contract was not competitively procured pursuant to FAR 6.302-1. The Naval Air Warfare Center Weapons Division, China Lake, Calif., is the contracting activity (N68936-12-D-0033). Sikorsky Aircraft Corp., Stratford, Conn., was issued a modification exercising a four-month option on contract SPM4AX-12-D-9402/P00018. The award is a firm-fixed-price, sole-source contract with a maximum $22,071,566 to supply spare parts in support of aircraft platforms. There are no other locations of performance. Using services are Army, Navy, Air Force, and Marine Corps. There was one proposal with one response. Type of appropriation is fiscal 2012 through 2013 Defense Working Capital Funds. The date of performance completion is Nov. 7, 2012. The Defense Logistics Agency Aviation, Richmond, Va., is the contracting activity. The Boeing Co., Long Beach, Calif., is being awarded a $500,000,000 firm-fixed-price and cost-plus-fixed-fee contract for the C-17 transition to post production, which will provide for orderly transfer of C-17 production assets. The location of the performance is Long Beach, Calif. Work is to be completed by July 5, 2022. 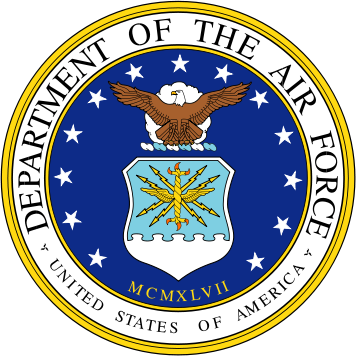 ASC/WLMK, Wright-Patterson Air Force Base, Ohio, is the contracting activity (FA8614-12-D-2049, Order 0001). iGov Technologies, Reston, Va., is the current contractor for the U.S. Special Operations Command Tactical Local Area Network (TACLAN) contract providing TACLAN family of system acquisition, design, integration, production, and delivery in support of special operations forces mission requirements. The TACLAN contract maximum is increased from $470,000,000 to $490,000,000. Work is being performed in Tampa, Fla., and is expected be completed by Dec. 31, 2012. 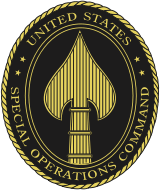 U.S. Special Operations Command, MacDill Air Force Base, Fla., is the contracting activity (H92222-08-D-0017). DRS Soneticom, Inc., Melbourne, Fla., is being awarded a $10,784,185 cost-plus-fixed-fee contract to develop an operational prototype, man-portable signals intelligence (SIGINT) receiver to support the Joint Threat Warning System Ground SIGINT kit rrogram. The Tactical SIGINT Tool, as envisioned, will be a small form factor, easily mission configured, secure handheld/body-worn networked device that provides real-time SIGINT and precision geolocation while incorporating a dedicated communications capability for command and control functions and cooperative geolocation. Work will be performed in Melbourne, Fla., and is expected to be completed by September 2014. U.S. Special Operations Command, MacDill Air Force Base, Fla., is the contracting activity (H92222-12-C-0047). Textron, Inc., New Orleans, La., is being awarded a $212,722,820 fixed-priced incentive-fee contract for the detail design and construction of a ship to shore connector (SSC) test and training craft and technical manuals. The SSC program is the functional replacement for the existing fleet of landing craft, air cushion vehicles, which are nearing the end of their service life. It is an air-cushioned vehicle designed for a 30-year service life. The SSC mission is to land surface assault elements in support of operational maneuver from the sea, at over-the-horizon distances, while operating from amphibious ships and mobile landing platforms. SSC provides increased performance to handle current and future missions, as well as improvements, which will increase craft availability and reduce total ownership cost. This contract includes options, which, if exercised, would bring the cumulative value of this contract to $570,451,044. Work will be performed in New Orleans, La. (59 percent); Camden, N.J. (26 percent); Great Britain (6 percent); St Louis, Mo. (3 percent); Indianapolis, Ind. (3 percent); and Eatontown, N.J., (3 percent). Work is expected to be completed by February 2017. Contract funds in the amount of $60,731,000 will expire at the end of the current fiscal year. This contract was competitively procured as a full and open competition via the Federal Business Opportunities website, with three proposals received. The Naval Sea Systems Command, Washington, D.C., is the contracting activity (N00024-12-C-2401). Black Construction/MACE International, J.V. *, Barrigada, Guam, is being awarded a $31,975,276 firm-fixed-price contract for design and construction for potable water plant modernization at the U.S. Naval Support Facility, Diego Garcia. The work to be performed provides for construction of a new water treatment facility in the Cantonment area replacing the existing water plants in Cantonment and Air Operations areas. The new water treatment facility includes raw water filter system, pump system and electrical system, which will connect to existing water storage tanks. Work will be performed in Diego Garcia, and is expected to be completed by February 2015. Contract funds will not expire at the end of the current fiscal year. This contract was competitively procured via the Navy Electronic Commerce Online website with four proposals received. The Naval Facilities Engineering Command, Far East, Yokosuka, Japan, is the contracting activity (N40084-12-C-0001). Vigor Marine, L.L.C., Portland, Ore., is being awarded a $9,563,687 firm-fixed-price contract for a 55-calendar day regular overhaul and dry-docking of Military Sealift Command’s Fleet Replenishment Ammunition Ship USNS Rainier (T-AOE 7). The ship’s primary mission is to provide fuel to U.S. Navy ships at sea, and jet fuel to aircraft assigned to aircraft carriers. This shipyard availability is primarily for ship maintenance and overhaul. Some of the major work items include repair of the JP-5 cargo valves, renewal of the rudder staves, recoating of various tanks, repairs of an exhaust leak in the diesel generator, propeller maintenance, overhaul of the starboard main engine clutch and coupling, servicing of the steering gear control, and renewal and repair of the piping. This contract includes options, which, if exercised, would bring the cumulative value of this contract to $11,800,597. Work will be performed in Portland, Ore., and is expected to be completed by September 2012. Contract funds will not expire at the end of the current fiscal year. This contract was competitively procured using full and open competition with two offers received. The U.S. Navy’s Military Sealift Command, Washington, D.C., is the contracting authority (N40442-12-C-2010). US Foods, Inc., Livermore, Calif., was issued a modification exercising the third option year on contract SPM300-08-D-3228/P00036. The award is a fixed-price with economic price adjustment, indefinite-quantity contract with a maximum $16,368,070 for full line food distribution. There are no other locations of performance. Using services are Army, Navy, Air Force, and Coast Guard. There were three proposals with three responses. Type of appropriation is fiscal 2012 Defense Working Capital Funds. The date of performance completion is Jan. 13, 2014. The Defense Logistics Agency Troop Support, Philadelphia, Pa., is the contracting activity. Terremark Federal Group, Inc., Miami, Fla., is being awarded a $9,116,831 modification to a firm-fixed-price contract (GS-35F-0073U). Terremark shall provide cloud-based computing, infrastructure, data, and analytical support under the General Services Administration Special Item Number (SIN) 132-51 and SIN 132-52. Work will be performed in Miami, Fla. (75 percent), and Culpeper, Va. (25 percent). Work is expected to be completed by July 1, 2013. The Defense Advanced Research Projects Agency is the contracting activity. Teradyne, Inc., North Reading, Mass., is being awarded a $16,848,088 firm-fixed-price contract to procurement components for the organic assembly of 25 Versatile Depot Automatic Test Systems. The location of the performance is North Reading, Mass. Work is to be completed by Sept. 30, 2013. WR-ALC/PKOA, Robins Air Force Base, Ga., is the contracting activity (FA8571-12-F-0002). Raytheon Space and Airborne Systems, McKinney, Texas, is being awarded an $8,500,000 cost-reimbursement contract for system imaging from standard definition-infrared to high definition-infrared for the Multi-Spectral Targeting System. The location of the performance is McKinney, Texas. Work is to be completed by July 9, 2013. ASC/WIIK, Wright-Patterson Air Force Base, Ohio, is the contracting activity (FA8620-11-G-4050-0008). Revision Military, Ltd.*, Essex Junction, Vt., was issued a modification exercising the first option year on contract SPM2DE-11-D-7552/P00002. The award is a fixed-price with economic price adjustment, indefinite-delivery/indefinite-quantity, sole-source contract with a maximum $12,785,652 for selection of prescription lens distributor. There are no other locations of performance. Using services are Army, Navy, Air Force, Marine Corps and federal civilian agencies. There was one response to the Defense Logistics Agency Internet Bid Board System solicitation. Type of appropriation is fiscal 2011 Defense Working Capital Funds. The date of performance completion is July 7, 2013. The Defense Logistics Agency Troop Support, Philadelphia, Pa., is the contracting activity. Gibbs & Cox, Inc., New York, N.Y., is being awarded a $10,799,969 cost-plus-fixed-fee, indefinite-delivery/indefinite-quantity contract for design and integration of manned and unmanned craft systems for the Naval Surface Warfare Center, Carderock, Combatant Craft Division. The contract is for engineering and technical management support on all programs and projects related to the design and integration of systems for manned and unmanned craft. Work will primarily be performed in the Virginia Beach, Va., and is expected to be completed by July 2015. Contract funds will not expire at the end of the current fiscal year. The Naval Surface Warfare Center, Carderock, Philadelphia, Pa., is the contracting activity (N65540-12-D-0007). QinetiQ North America, Inc., Huntsville, Ala., is being awarded a $9,902,317 cost-plus-fixed-fee, indefinite-delivery/indefinite-quantity contract for design and integration of manned and unmanned craft systems for the Naval Surface Warfare Center, Carderock, Combatant Craft Division. The contract is for engineering and technical management support on all programs and projects related to the design and integration of systems for manned and unmanned craft. Work will primarily be performed in the Virginia Beach, Va., and is expected to be completed by July 2015. Contract funds will not expire at the end of the current fiscal year. The Naval Surface Warfare Center, Carderock, Philadelphia, Pa., is the contracting activity (N65540-12-D-0006). Sealift, Inc., Oyster Bay, N.Y., is being awarded a $9,386,624 firm-fixed-price, reimbursable elements contract for the time charter of U.S.-flagged, self-sustaining ship, MV Maj. Bernard F. Fisher, to preposition ammunition and related supplies in support of the Air Force’s at-sea prepositioning program. Work will be performed at sea, and the ship must be worldwide deployable. This contract includes four, 12-month option periods, which, if exercised, would bring the cumulative value of this contract to $41,321,873. The anticipated primary places of performance are Diego Garcia and Korea. The contract is expected to be completed Sept. 30, 2013; if all options are exercised, work will continue through September 2017. Contract funds are subject to availability of fiscal 2013 funding. This contract was competitively procured with more than 50 companies solicited via a solicitation posted to the Military Sealift Command, Navy Electronic Commerce Online and Federal Business Opportunities websites, with two offers received. The U.S. Navy’s Military Sealift Command, Washington, D.C., is the contracting activity (N00033-12-C-3303). Honeywell, Minneapolis, Minn., is being awarded a $9,343,572 modification to a cost-plus-fixed-fee contract (HR0011-08-C-0019, Phase 4 option exercise). The Defense Advanced Research Projects Agency is funding Honeywell to design, develop, and deliver a demonstration of a gyroscope with a goal capability of absolute reference navigation in a compact, four-diameter optically integrated gyro-head. Work will be performed in Minneapolis, Minn. (53 percent); Glendale, Ariz. (35.5 percent); Pasadena, Calif. (8 percent); King of Prussia, Pa. (2.5 percent); and Somerset, N.J. (1 percent). Work is expected to be completed by Aug. 5, 2013. 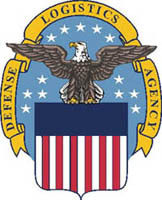 The Defense Advanced Research Projects Agency is the contracting activity.